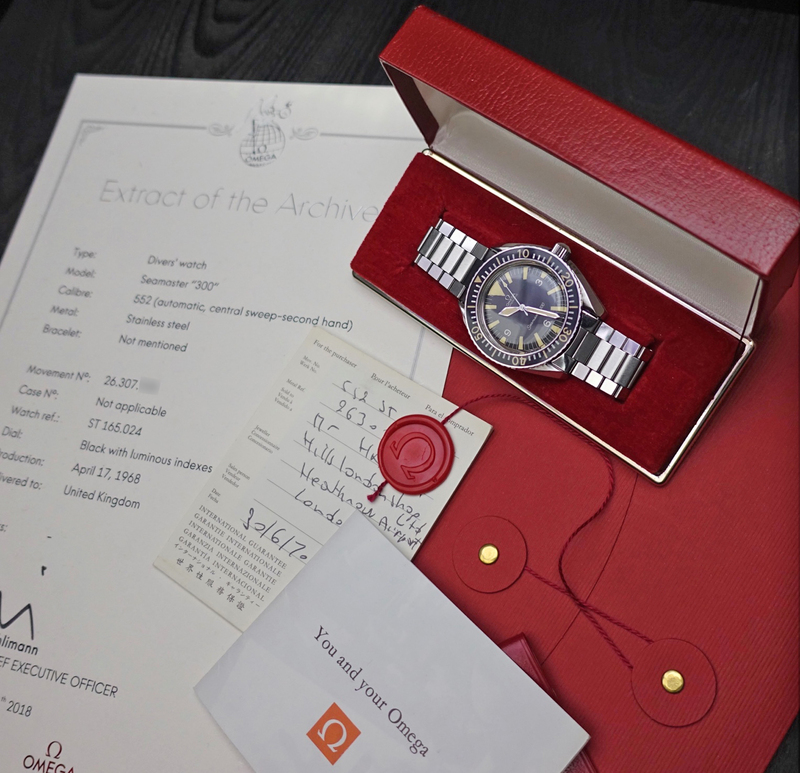 The purpose of this website is to assist the avid collector in appreciating a watch whose history dates back to 1932 with the introduction of the Omega Marine. It needs to be appreciated that the study of vintage watches is always the study of probability as today’s accurate production methods were not those used 50 years ago. 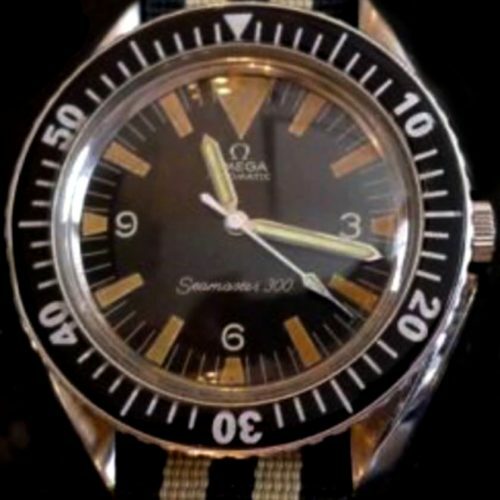 What the author has tried to do in establishing the true heritage of this watch, is to sift through many hundreds of documents, archives, explanations, descriptions, commentaries, images, movement numbers and watches to come to what is effectively a consensus …..and thus this study should never be used dogmatically. 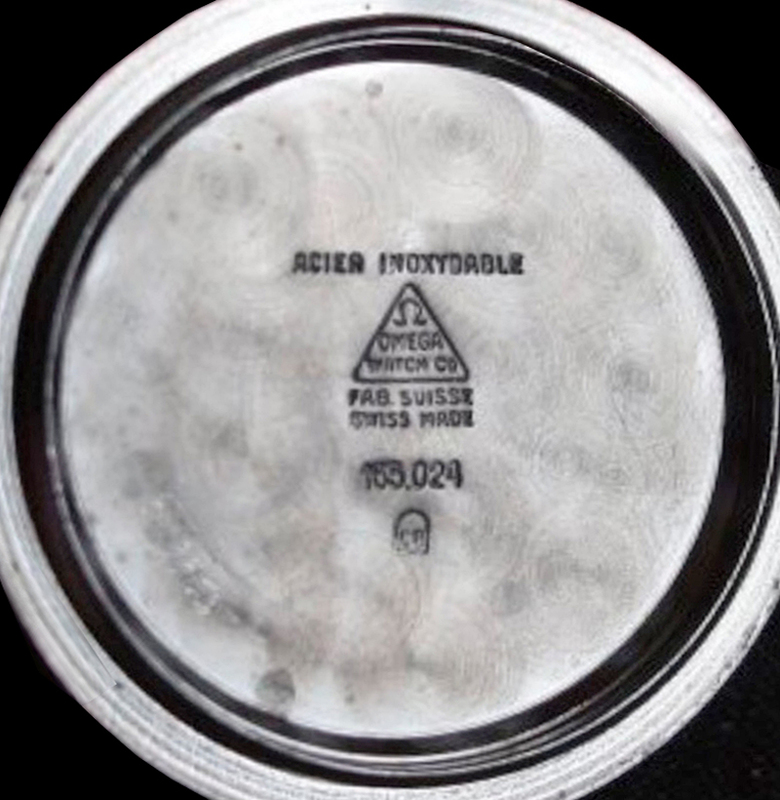 Please note: click on any photograph to magnify it. 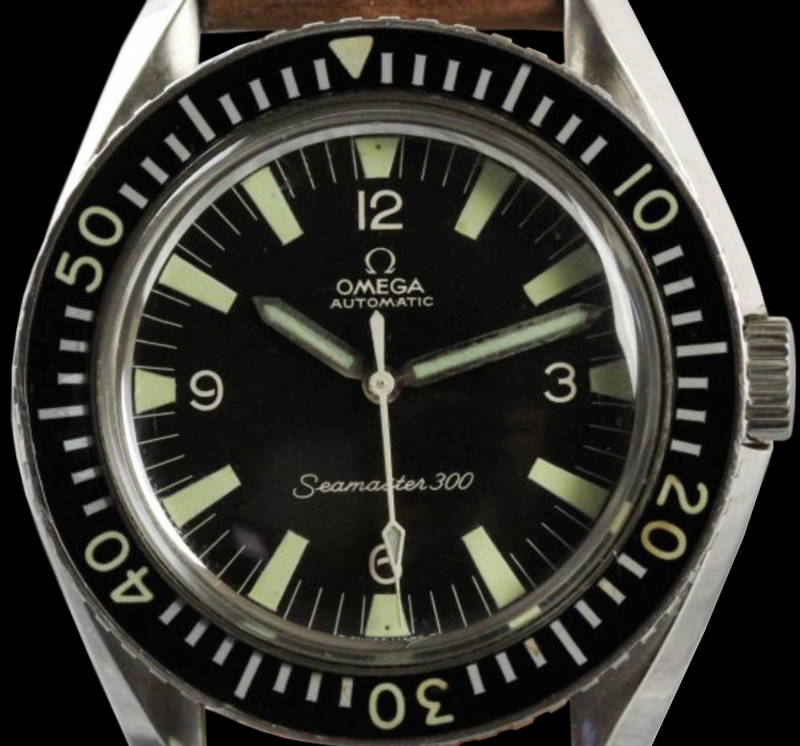 This is a narrow study of the Omega Seamaster 300 watch from the period 1963/64 – 1969. An examination of this model shows there are huge variations sometimes as many as 3 a year over the 6 year period. 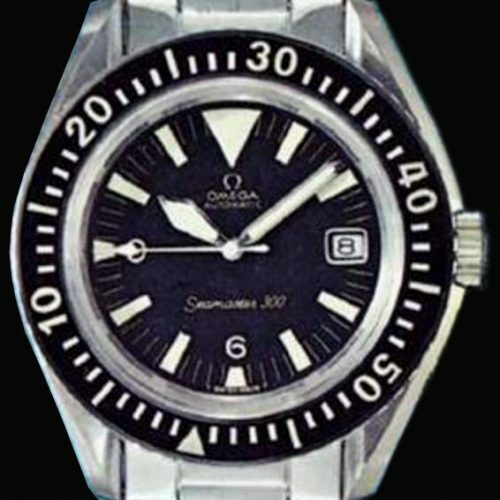 The Author welcomes any observations which assist in the clarification for collectors. 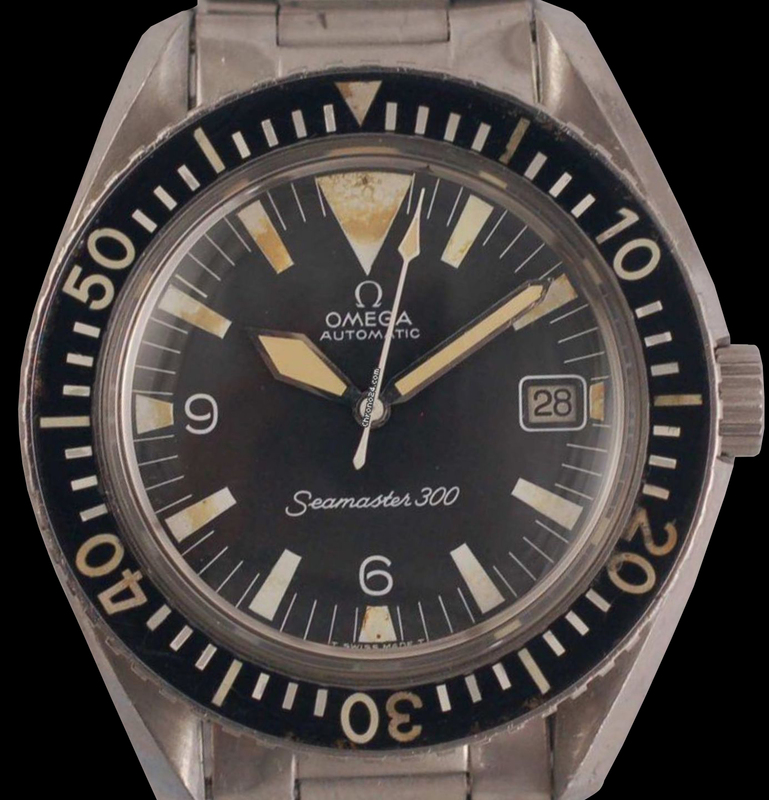 There will be a website on the earlier Seamaster 300 the CK2913 (1957 – 62) but given the complexities, splitting the history in this way serves the collector better. 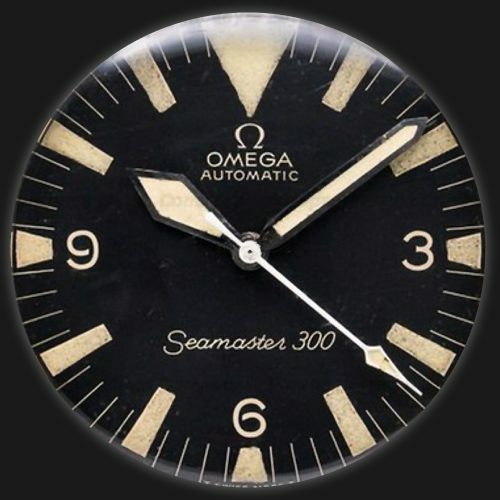 In 1932 the world was introduced to the Omega Marine (as seen on the right), which was Omega’s first real divers watch and the expertise and designs from that watch were carried forward to create the first Omega Seamaster 300. 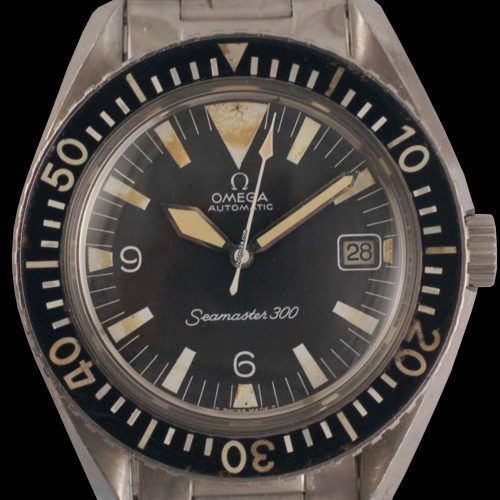 The original Seamaster line commenced in 1948 and this watch was originally supplied to RAF crews as a military aviator. In 1954 they were sent to SLWR for testing where they were found to be water resistant to 60 metres and temperature resistant between -40 to +50 degrees centigrade. The introduction of the revolutionary O-ring gave these watches a ruggedness, a waterproofness and a precision which was superior to all other brands at that time. 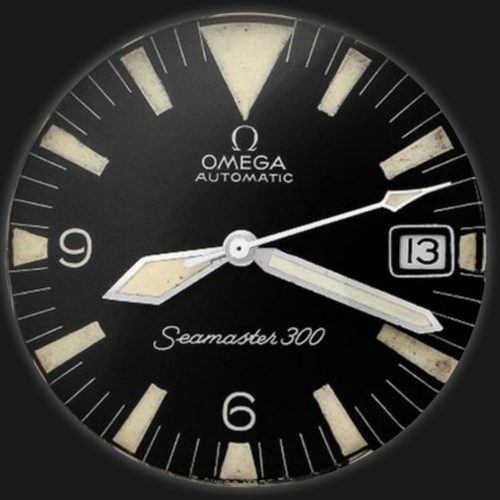 In 1957 the world was greeted by the arrival of Omega’s famous trilogy: Speedmaster, Railmaster and importantly the Seamaster 300. 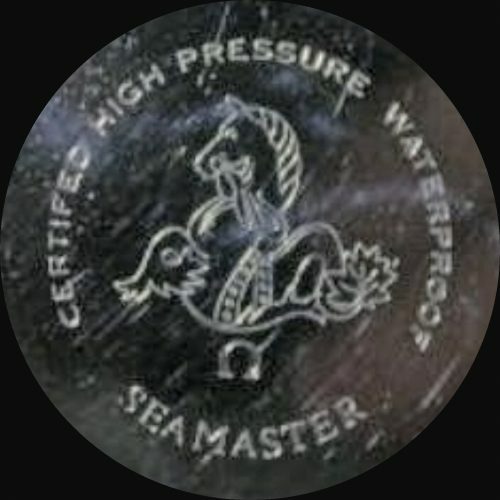 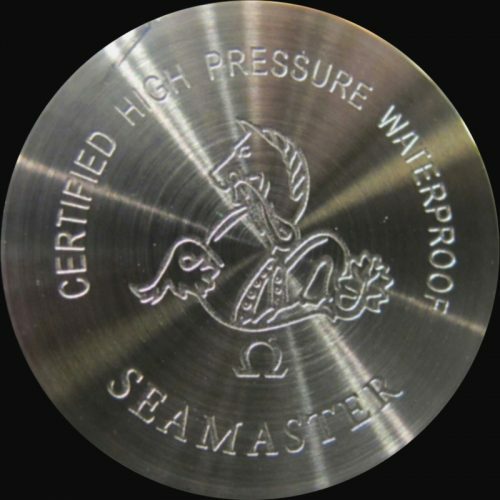 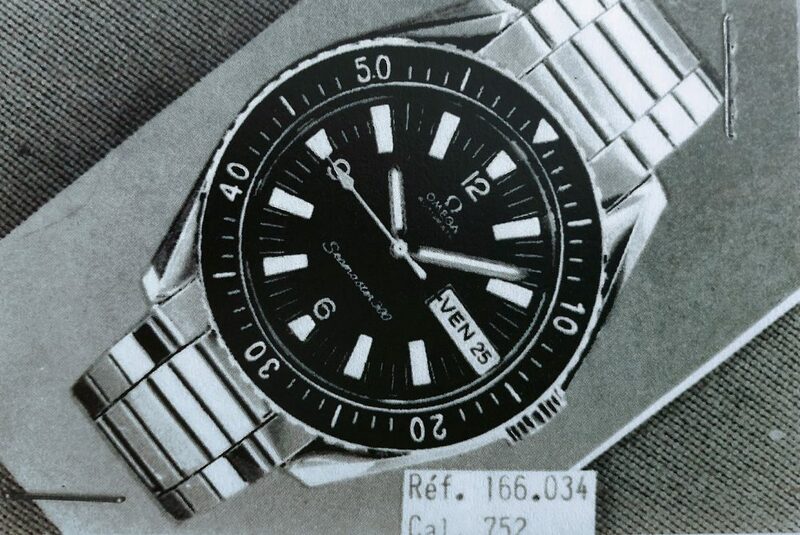 The Seamaster 300 was guaranteed to 200m although tests equivalent to 300m have been carried out without water ingress, hence the rear of the watch carried the title ‘certified high pressure waterproof Seamaster’. 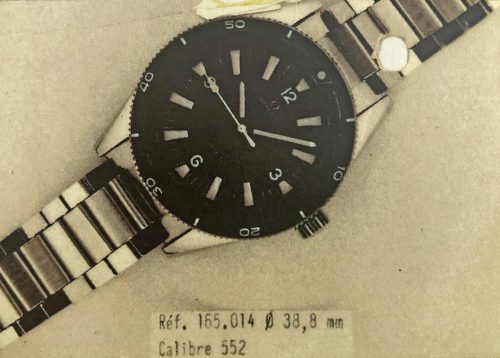 This watch was designated the CK2913 which was replaced in 1950 by CK14.755 (calibre 552) which then became ST165.014 in 1962 thereafter ST165.024 in 1963-64. The watch using a crown and dial variation complied with the Ministry of Defence DEF STAN 66 guidelines and was issued to all sectors of the British Army however again this would be the subject of a subsidiary site. 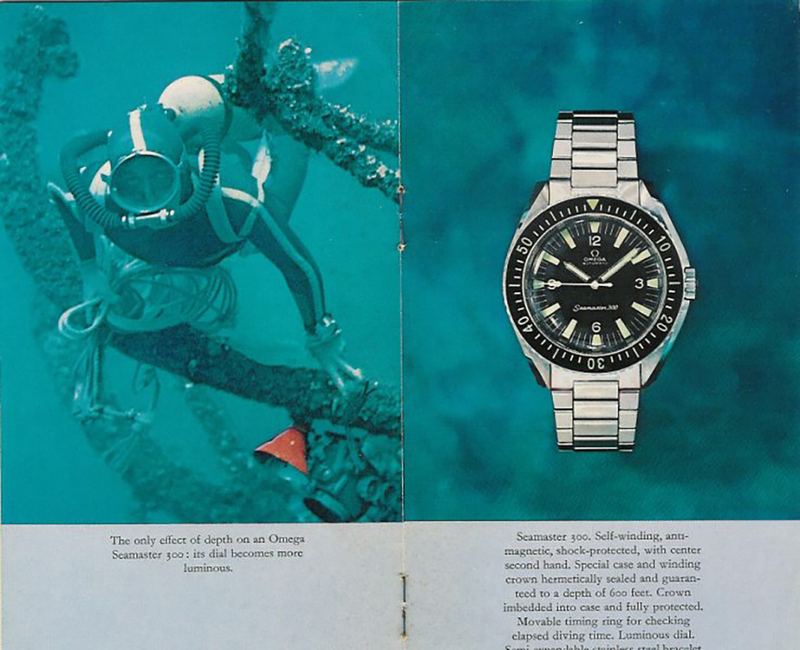 There is substantial mythology surrounding the watches worn by the divers for Comex (compagnie maritime d’expertises). This was a company founded in 1961 by Henry Delauze and it pioneered very deep saturation diving starting with Hydra 1 in 1968. 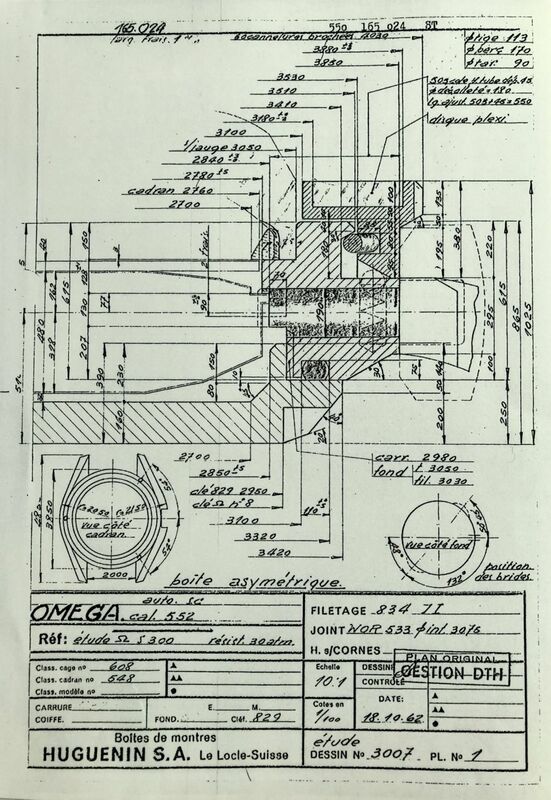 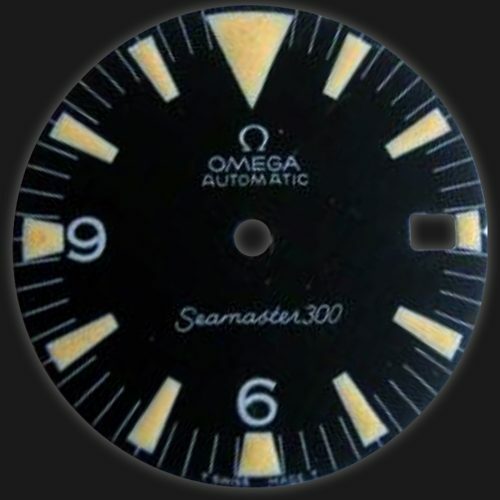 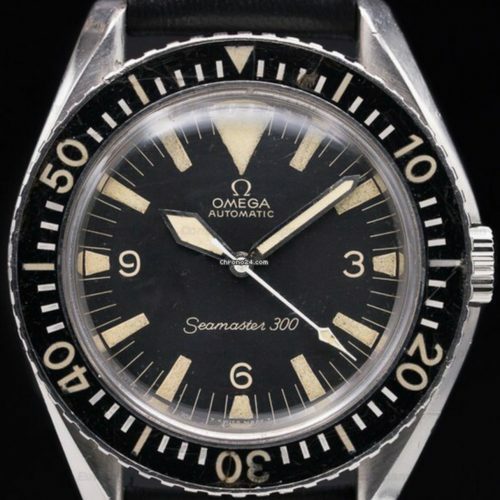 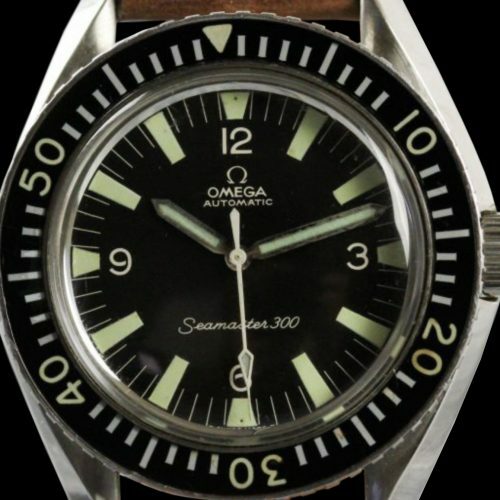 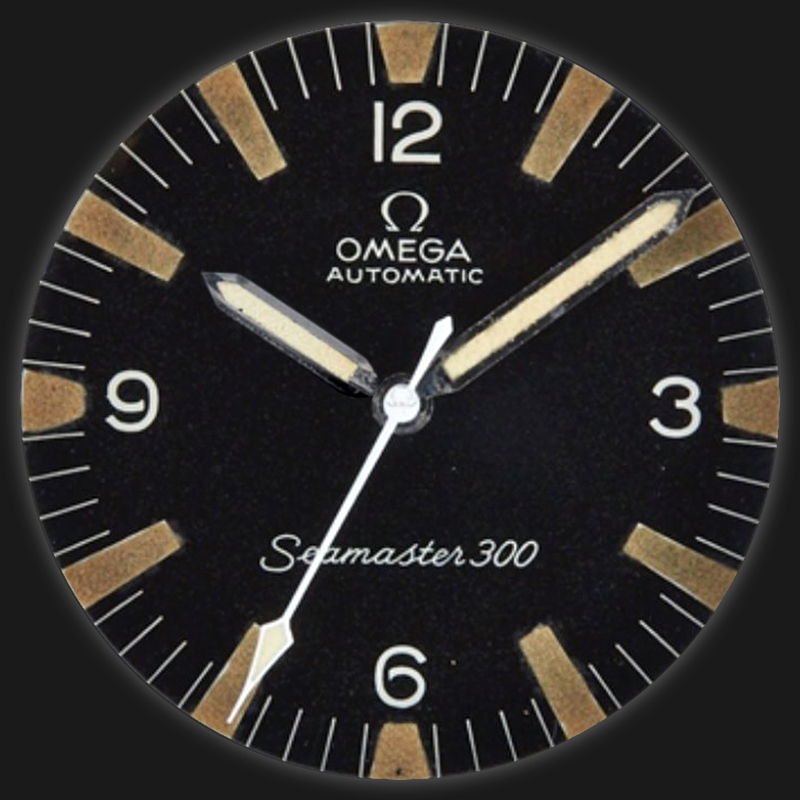 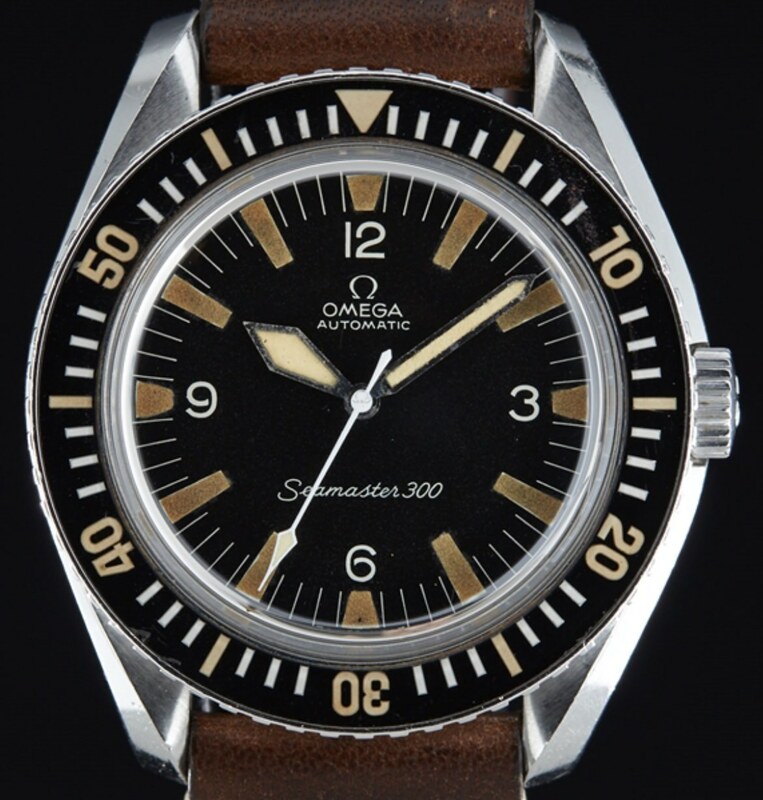 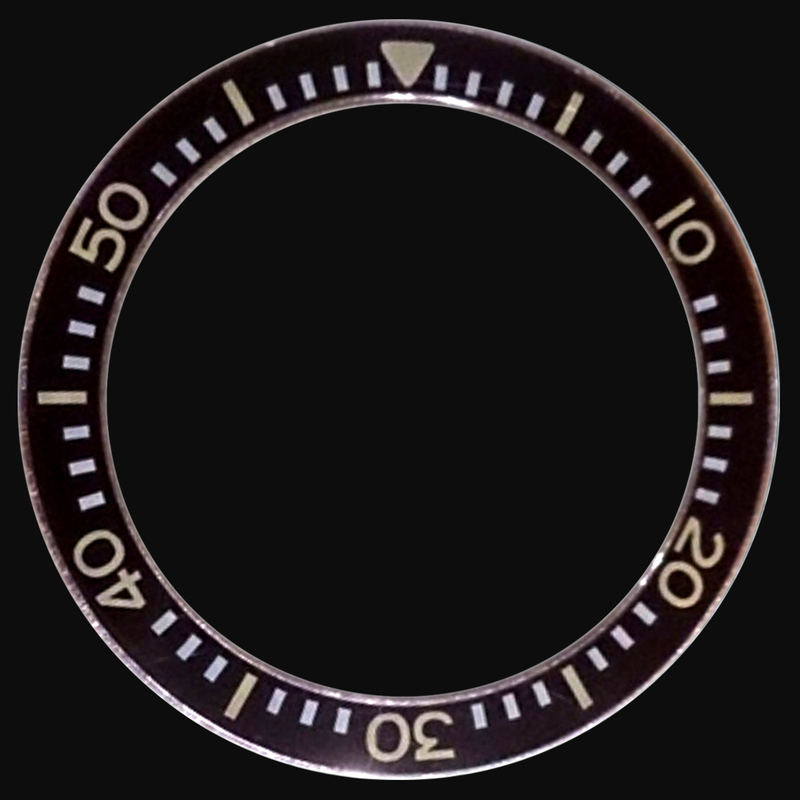 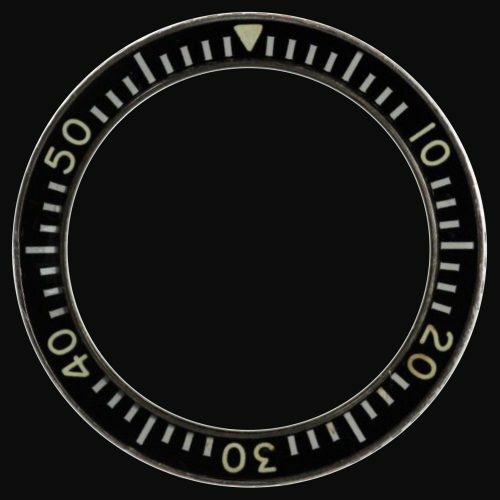 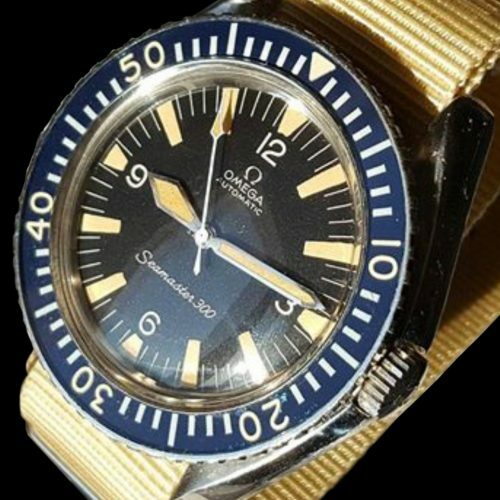 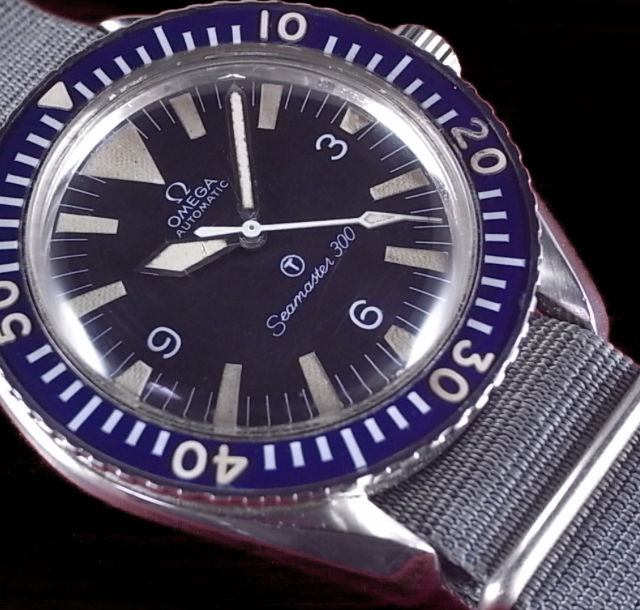 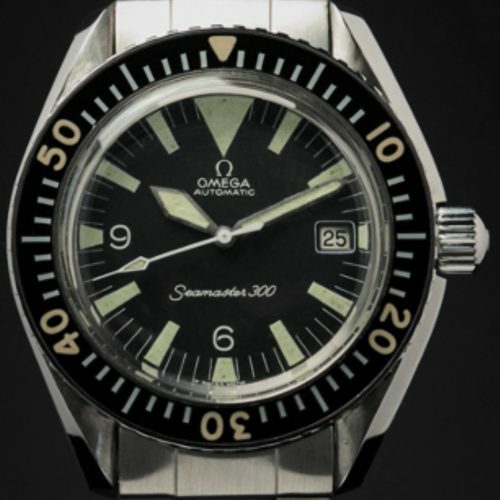 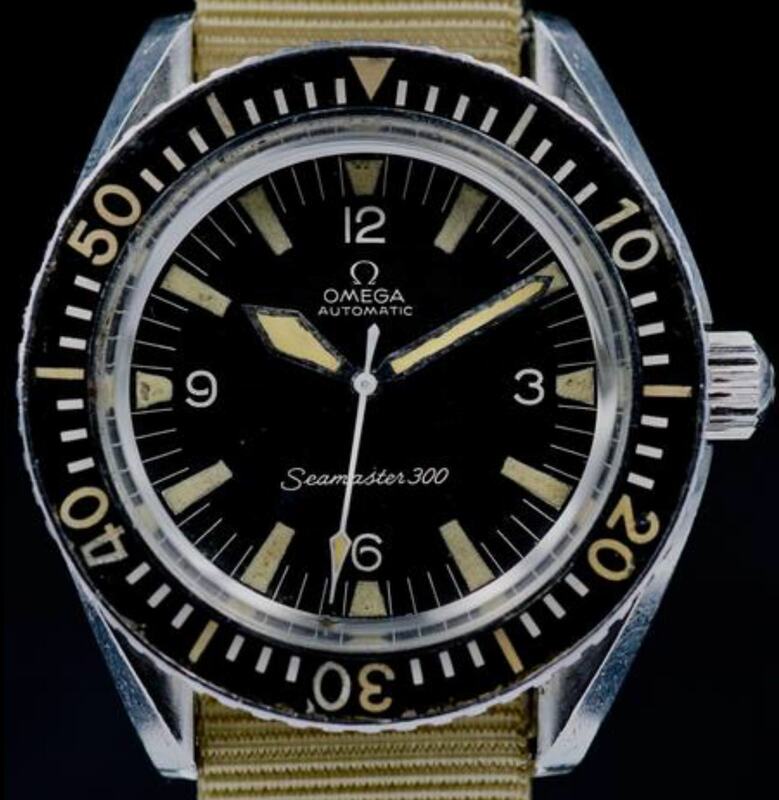 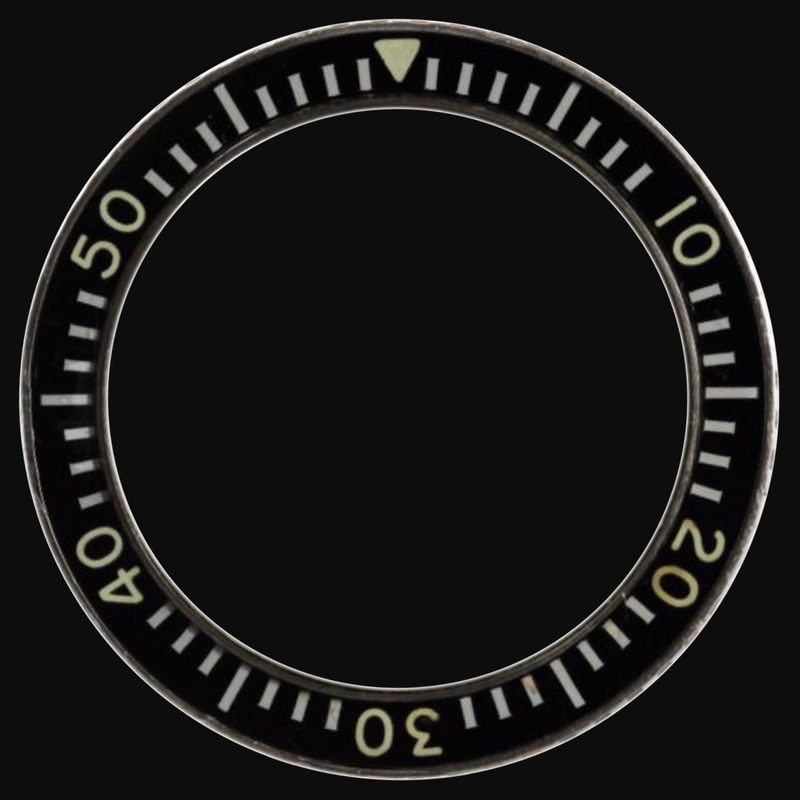 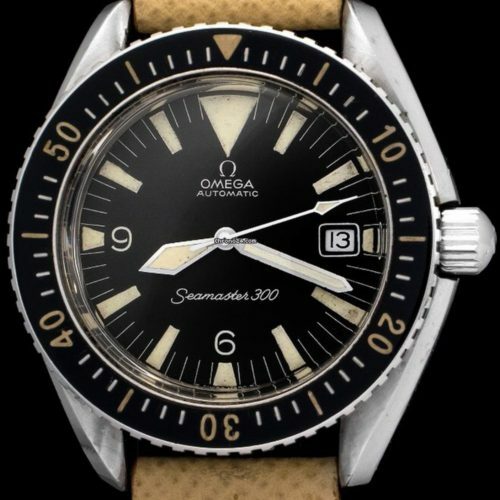 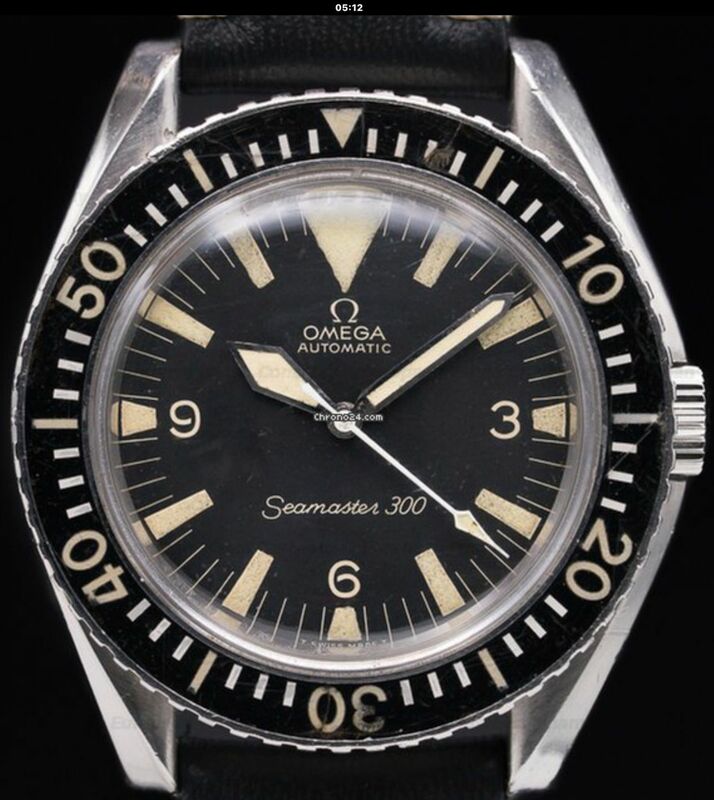 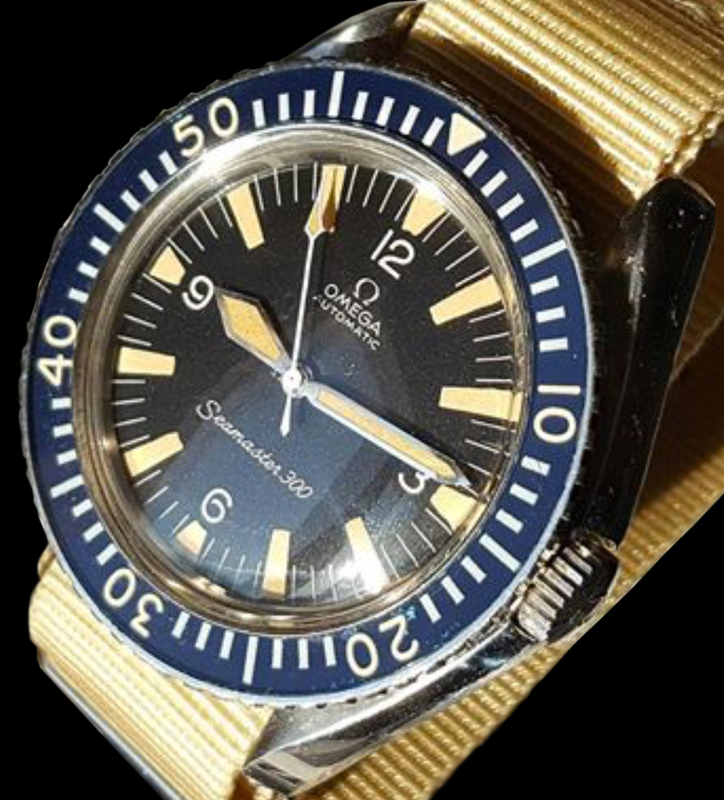 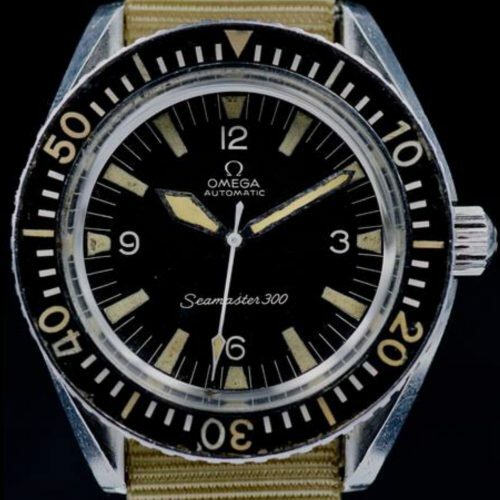 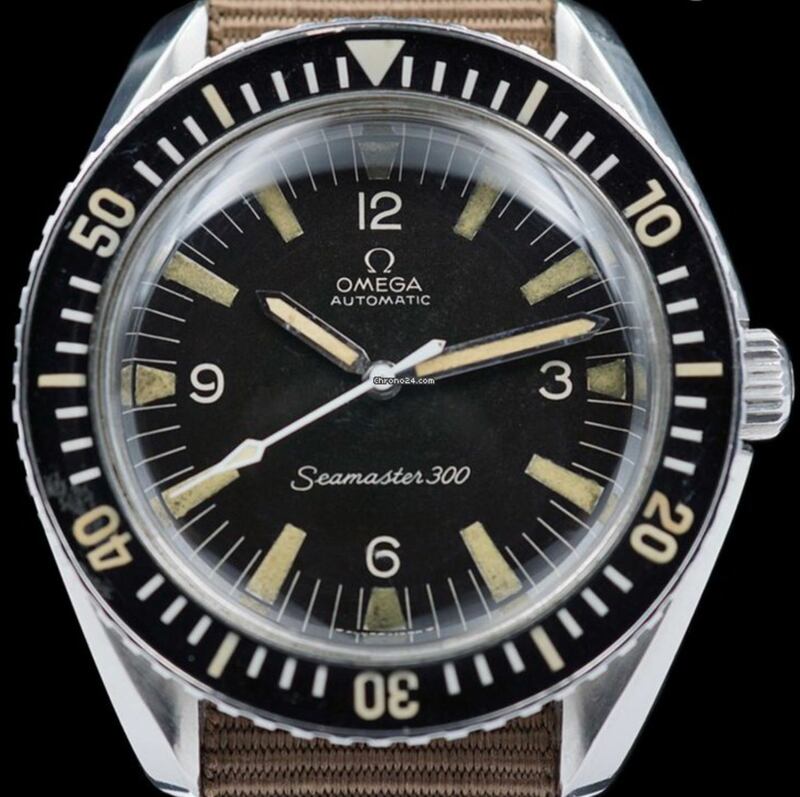 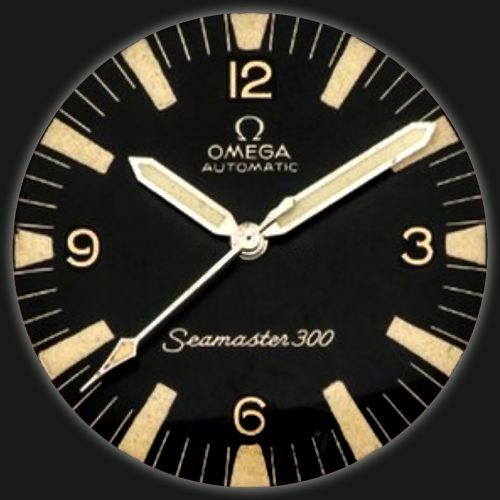 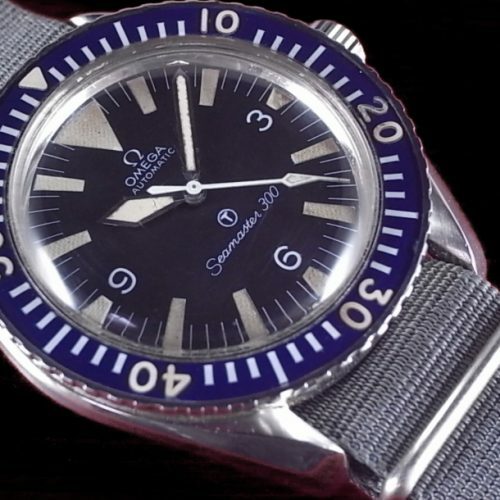 Uniquely Omega was the exclusive supplier for watches in all deep sea diving tests because they were the only company at the time that could guarantee hermetically sealed watches. 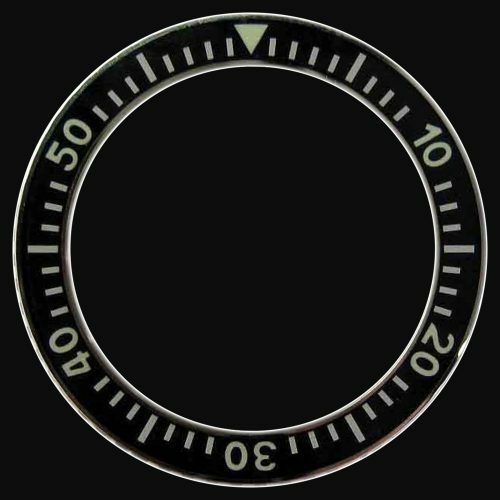 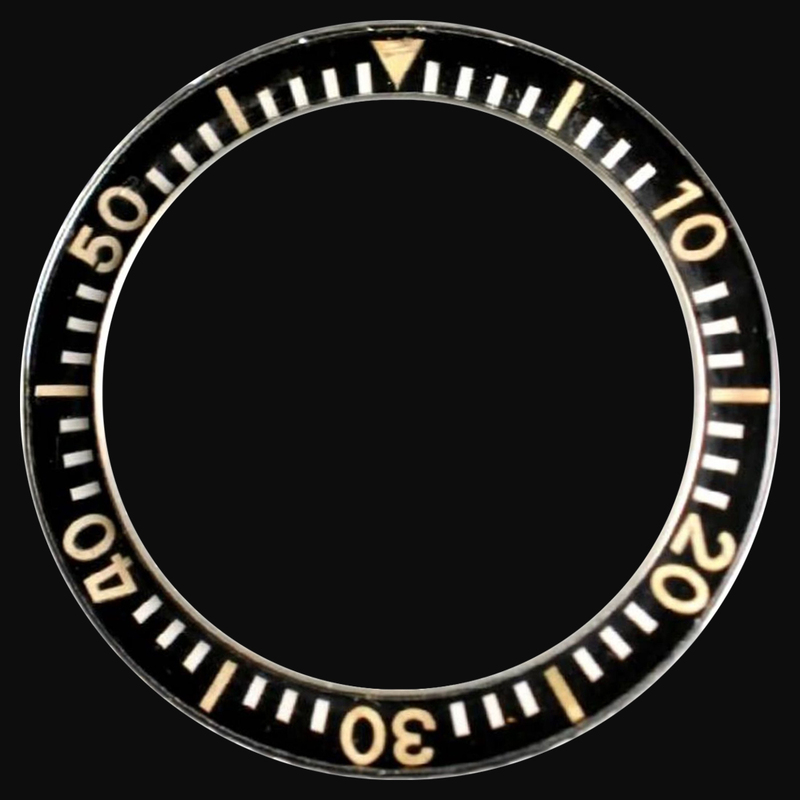 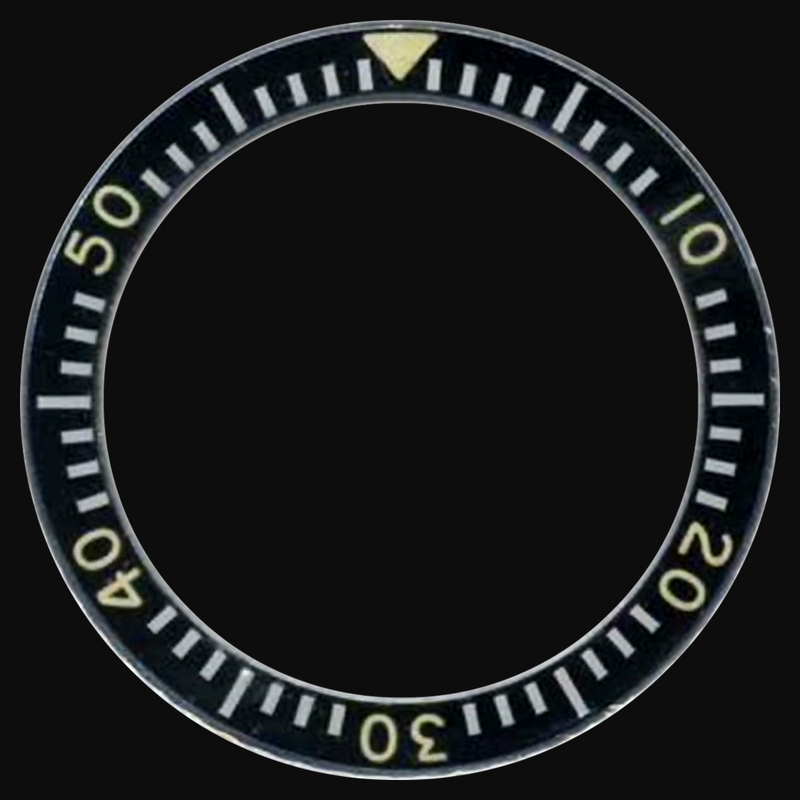 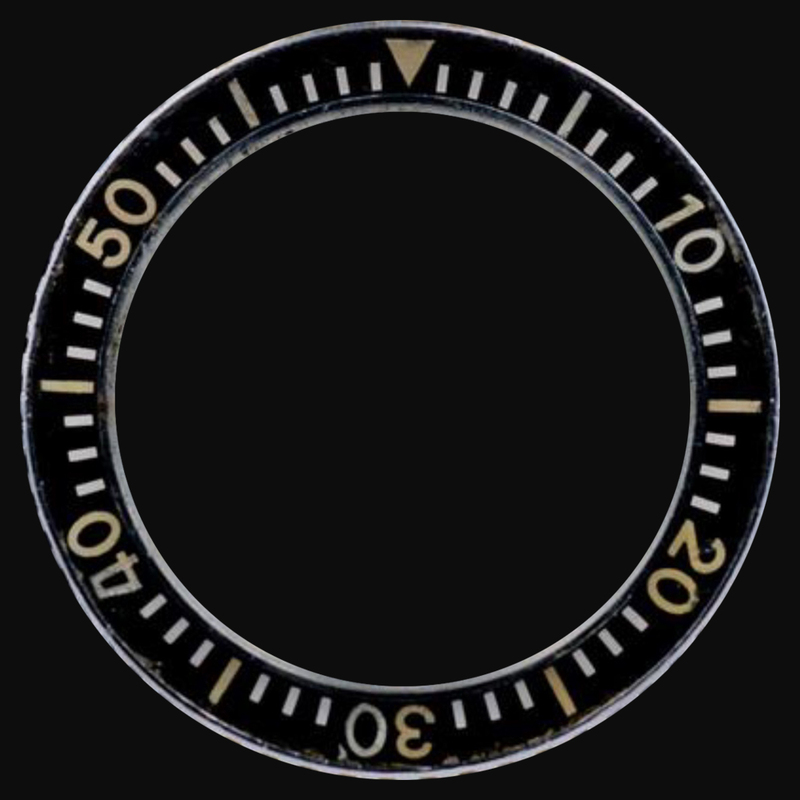 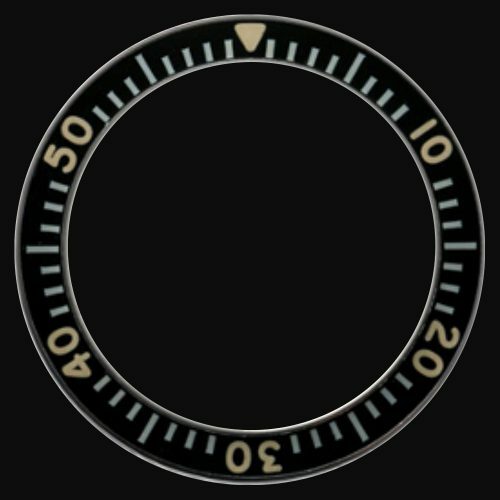 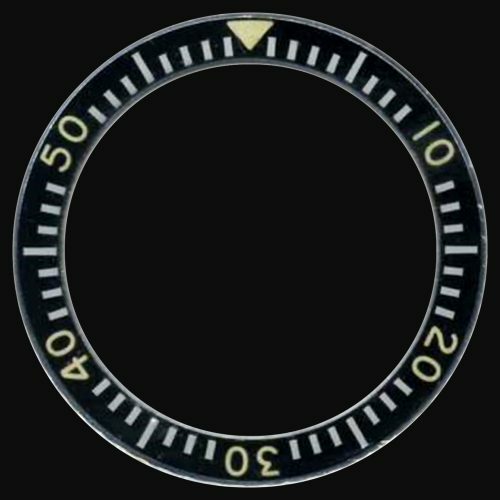 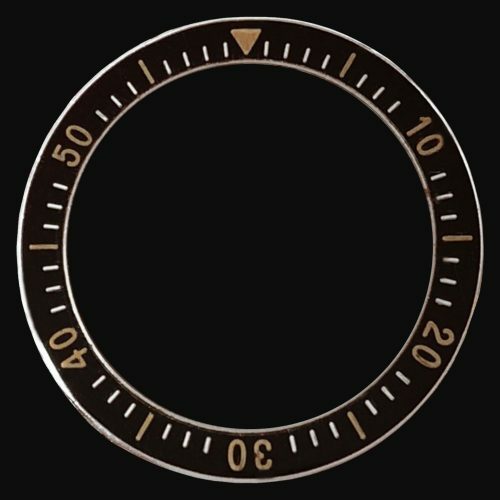 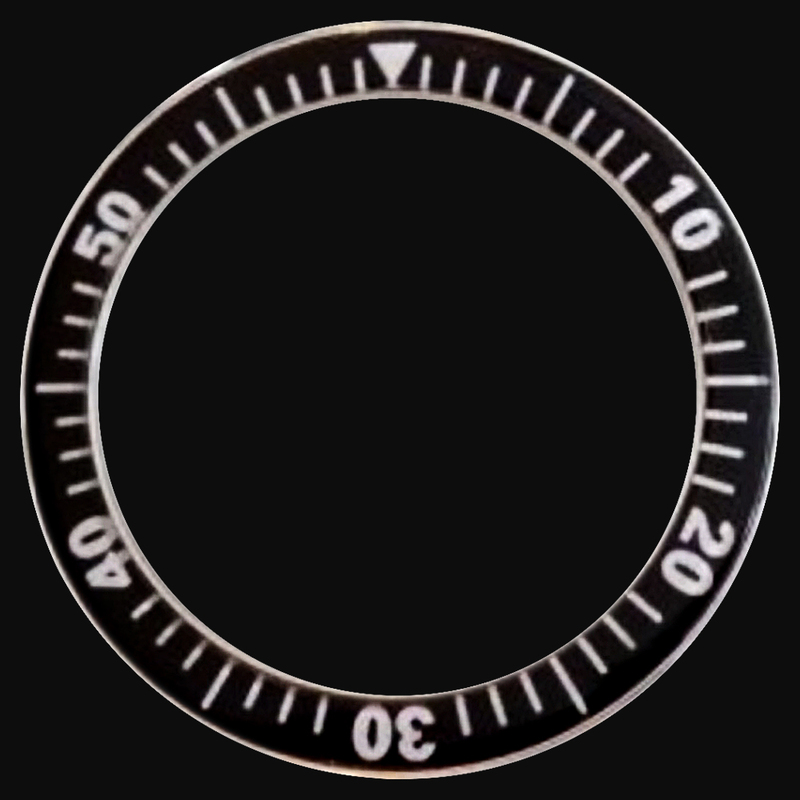 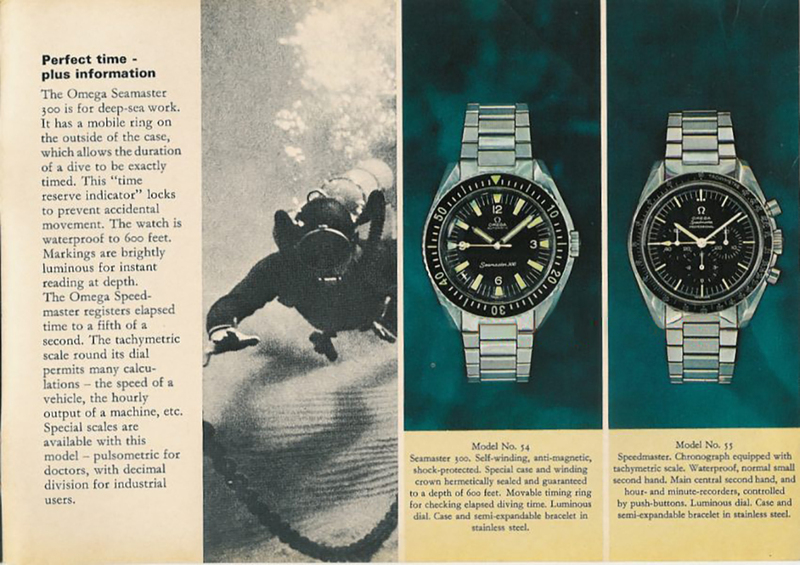 Later on in 1971-72 onwards companies such as Rolex tried to enter this market by introducing a helium release valve because their watches were not impermeable, however this was a very poor solution because helium inside a watch, even if released on decompression, causes fluctuation in the watches time keeping ability. 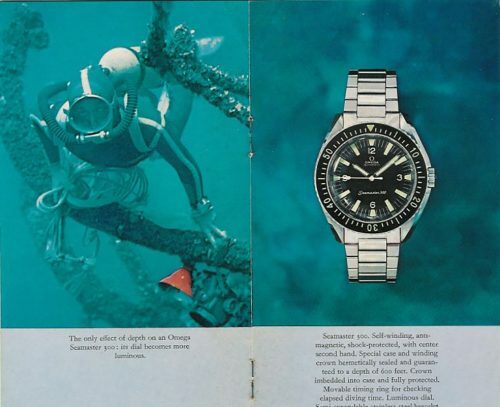 Rolex were also faulted for their diving watches did not have sufficient legibility underwater nor did they introduce a sapphire scratch-proof crystal until 11 years after Omega. 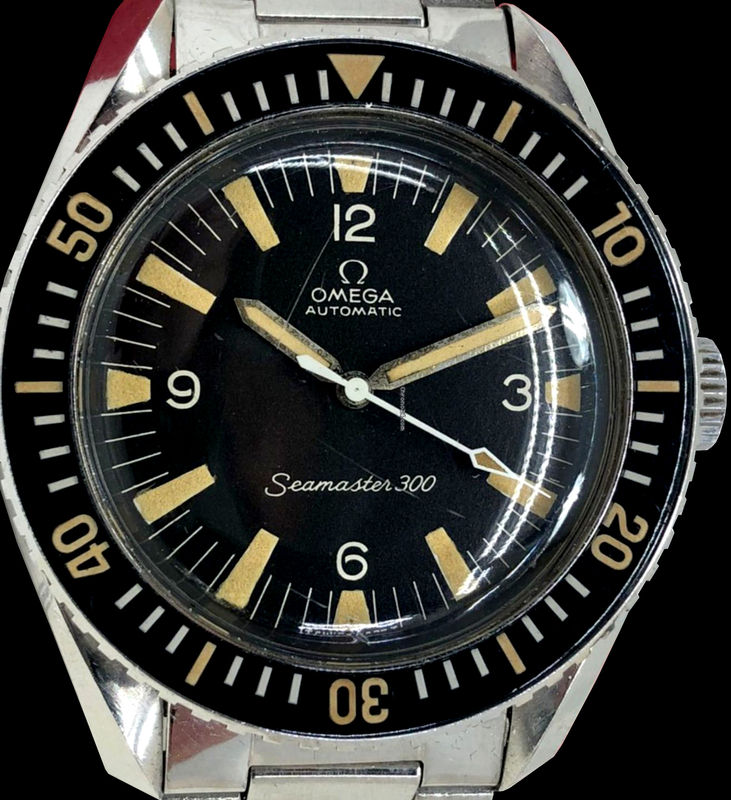 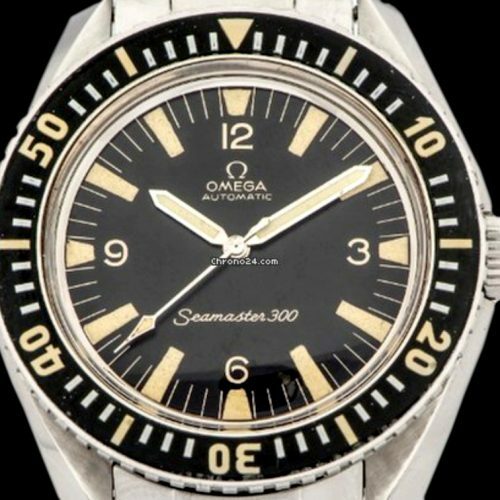 At the outset in 1967 various manufacturers submitted watches for testing to COMEX but none matched Omega’s waterproofness ruggedness and precision. 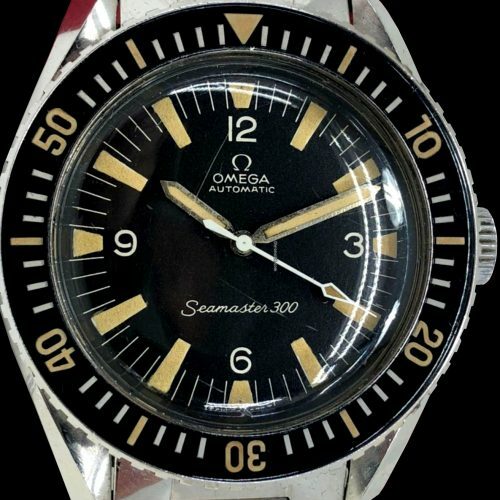 And the watch of choice for early exploration and testing was the Seamaster 300. 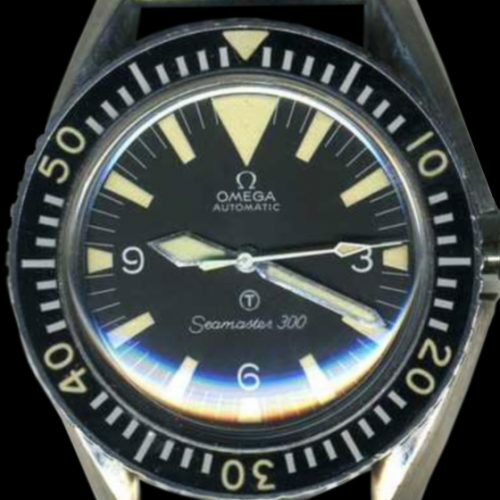 Unfortunately amongst the collecting community there is a tremendous amount of misinformation about Comex Omega and subsequently Comex Rolex. 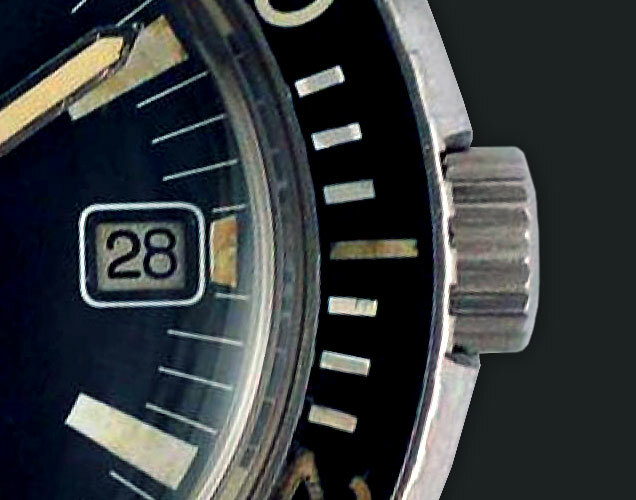 The Author is currently compiling what he hopes will be a more authoritative work on this topic. 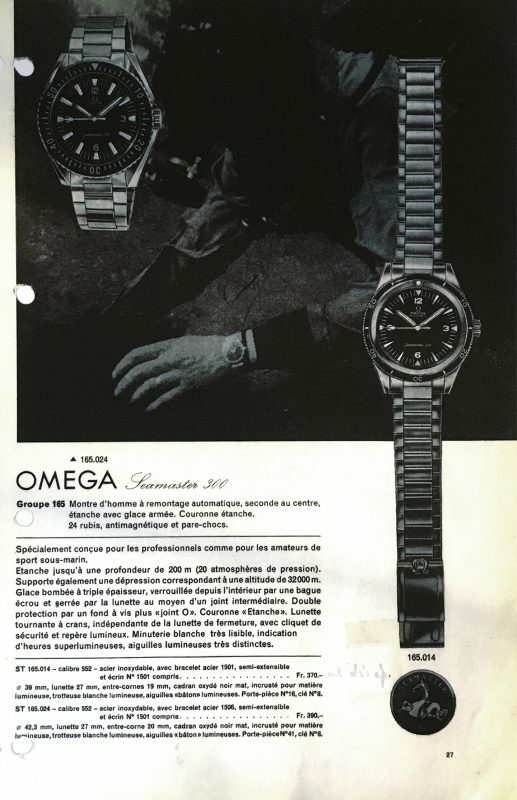 In the meantime this is a valuable opportunity to disabuse the belief that Omega only ever supplied eleven watches to Comex and in this regard I have included the invoice from Comex at the early start of their cooperation (see image on left). 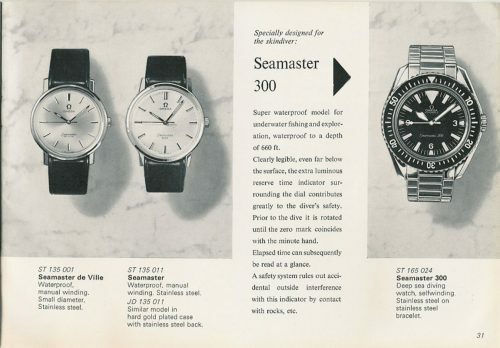 As can be seen 34 watches were supplied. 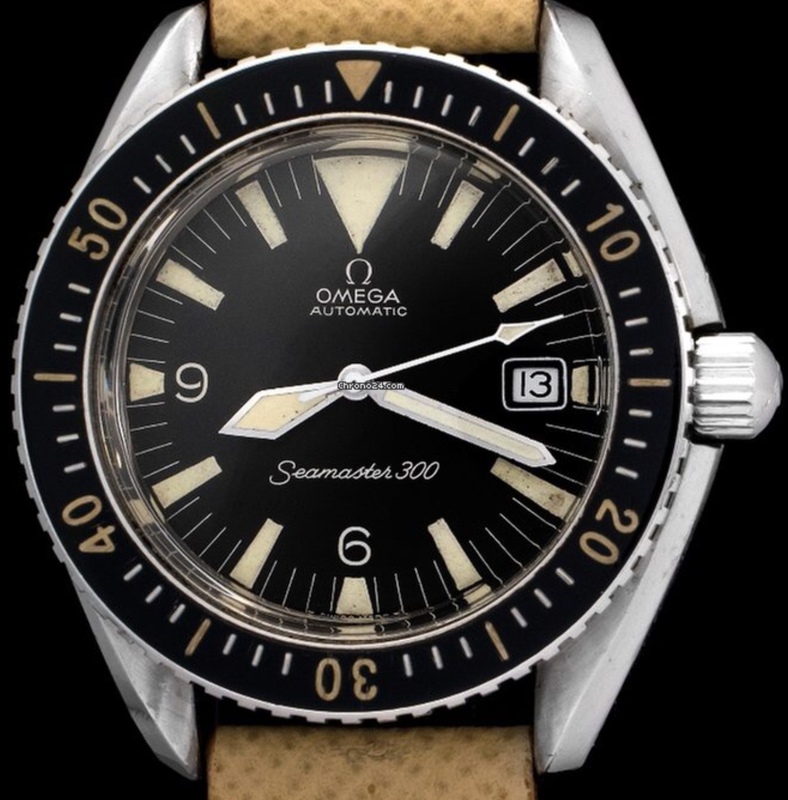 The first 30 being 166.024 Seamaster 300s in 565 calibre and the last 4 being extremely special Seamaster 1000s in 552 calibre. 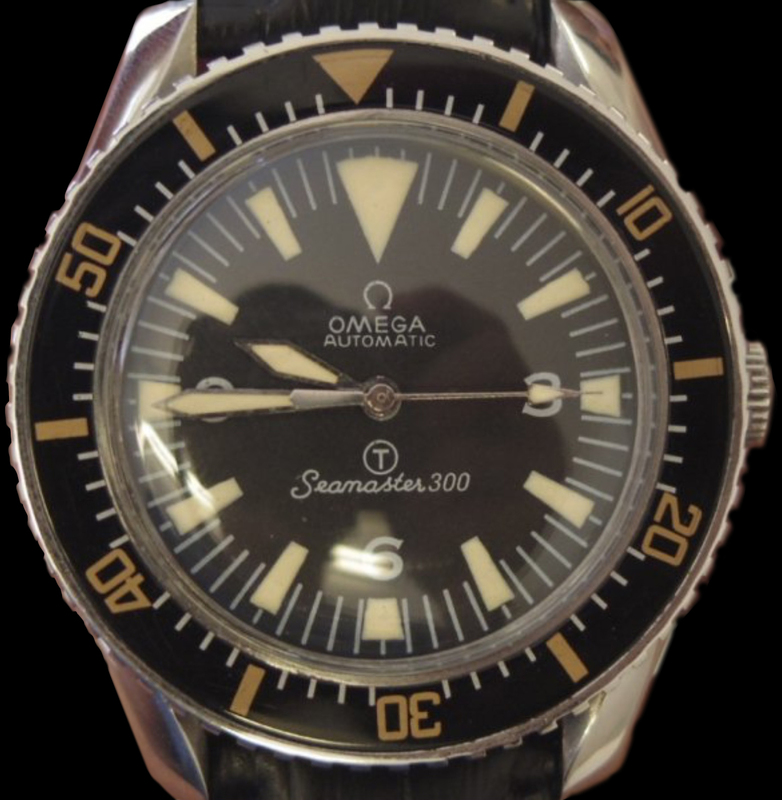 It is worthy of note that the Seamster 1000 Proplof preceded the Seamaster 600 Ploprof which at this stage was merely an MVP. This is just a sample of the Seamaster 300s sent to Comex in addition there were a considerable number of Seamaster 1000s and Seamaster 600s supplied. Theses were all highly engineered professional tool watches on which divers’ lives depended they were not a dress watch which someone stuck a bezel on for marketing purposes. Any collector who has a watch which they suspect is part of this cohort should contact the Author for authentication. 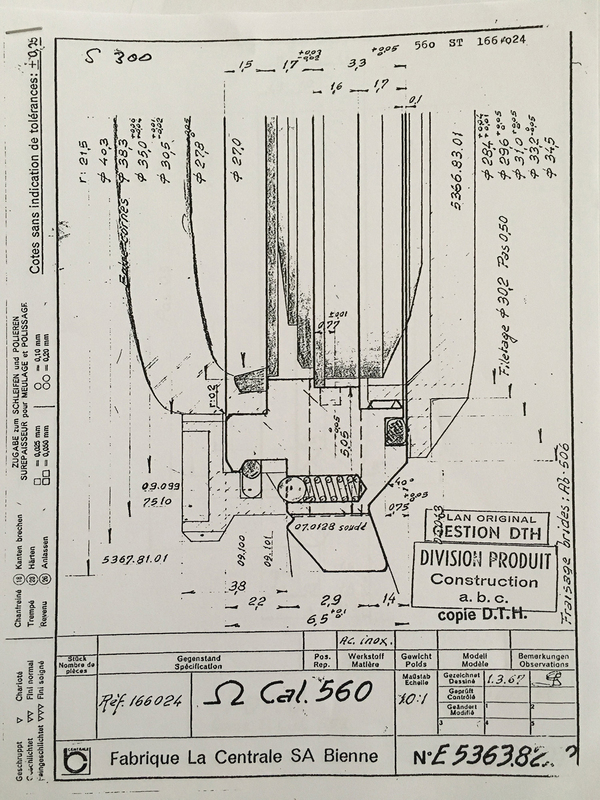 Below is an engineering drawing of the bezel which had iconic slip-proof grip plates designed on a 1 click per minute rotation. 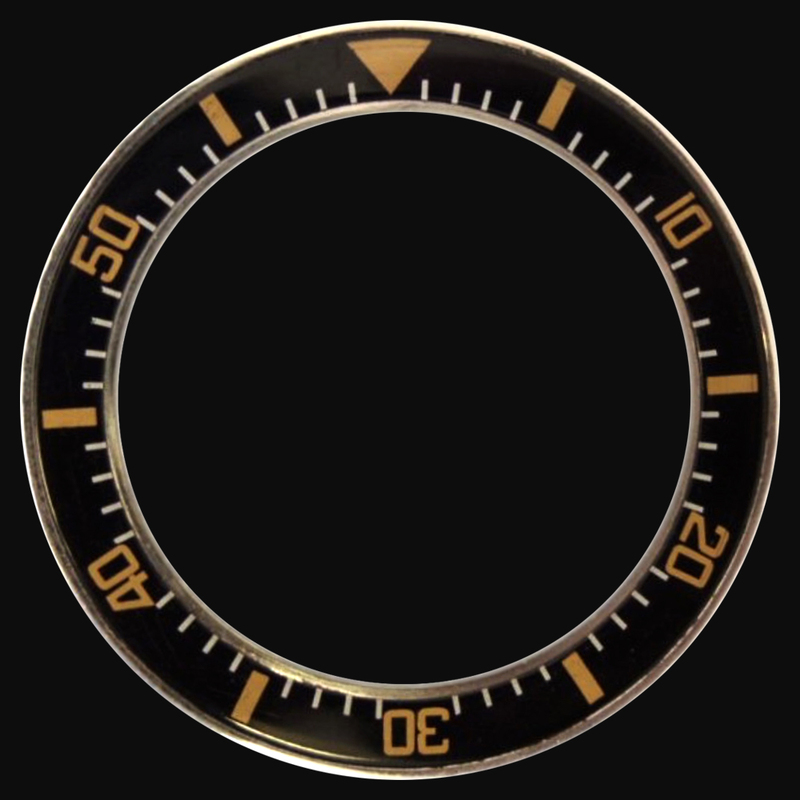 These bezels proved vastly superior to the competition when operated in wet or slippy conditions. 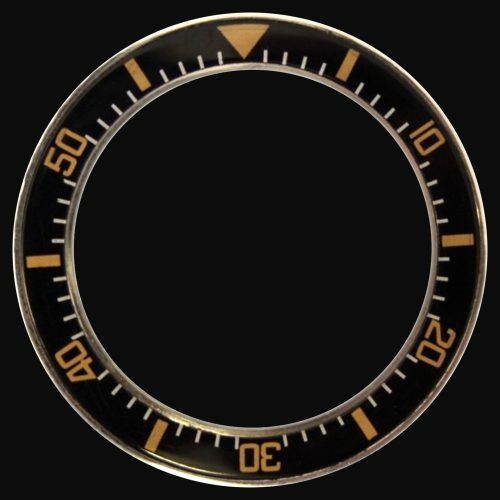 The bezel insert is an acrylic plastic resin with an inset luminous triangle and luminous figures. If the entire bezel is luminous it is likely a service bezel. From 1962-1966, usually with the number 16 end links. 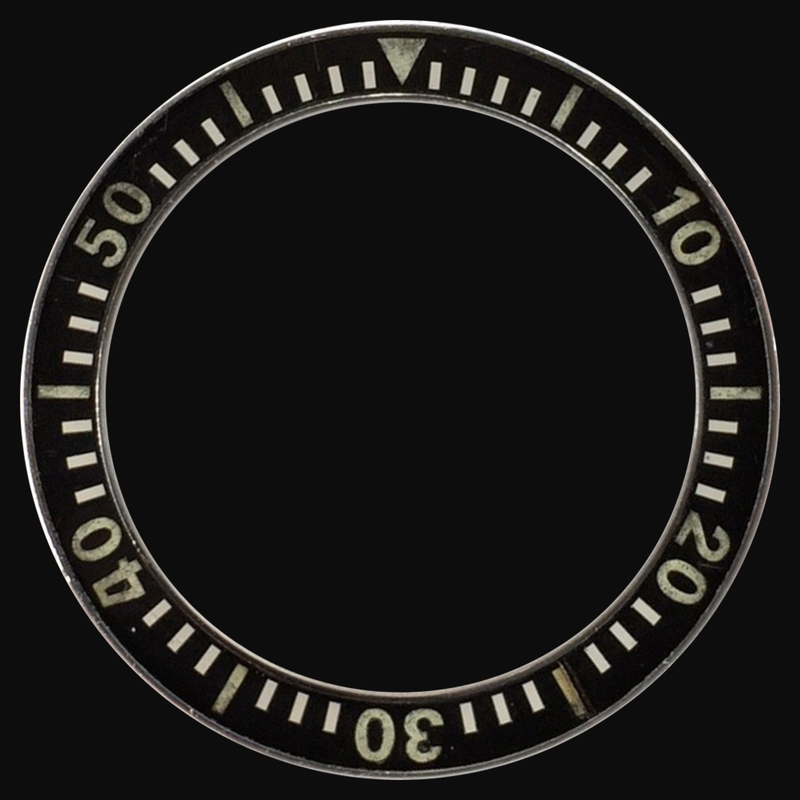 Ran from 1964 – 1966, usually with the number 16 end links. Ran from 1966 – 1969+, usually seen with the 516 end links. 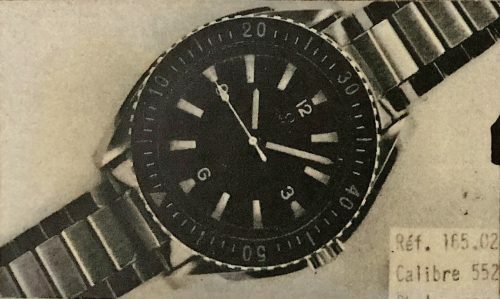 A rare bracelet, produced for a single quarter in 1966. 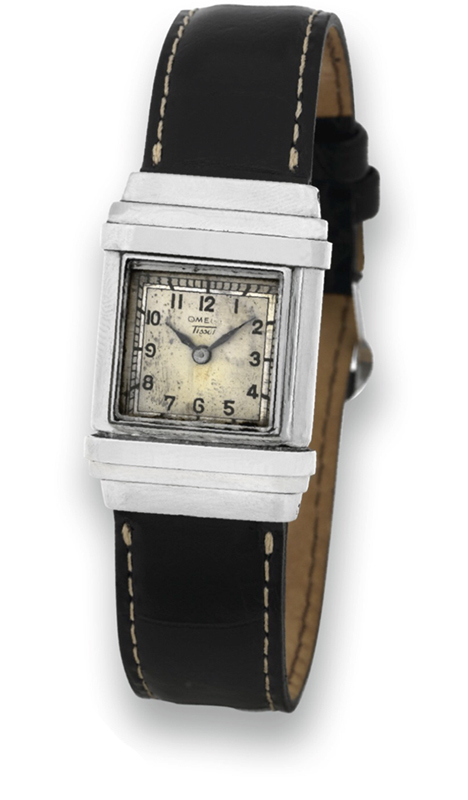 Identical to the 1035 except for the stamp on the clasp. 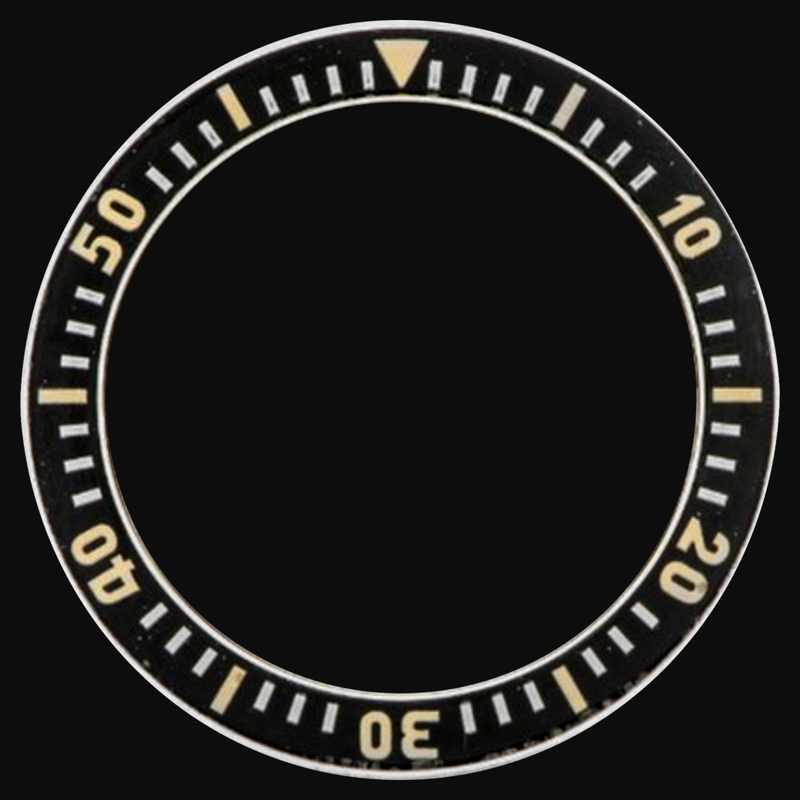 Ran from 1966 – 1972, usually seen with the 516 end link. 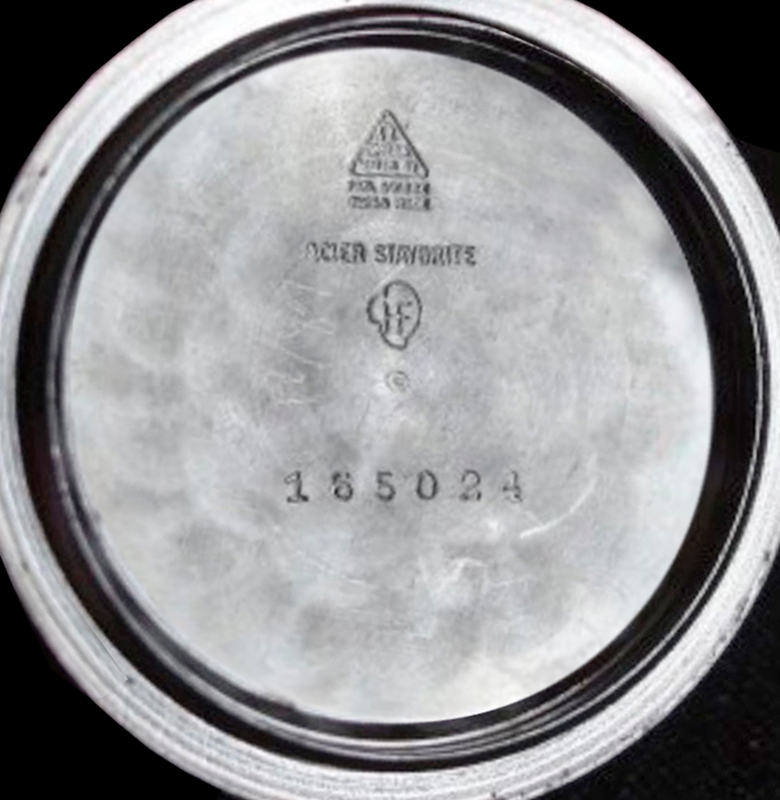 No picture required as it is identical to the 1039 expect for the inner stamp. 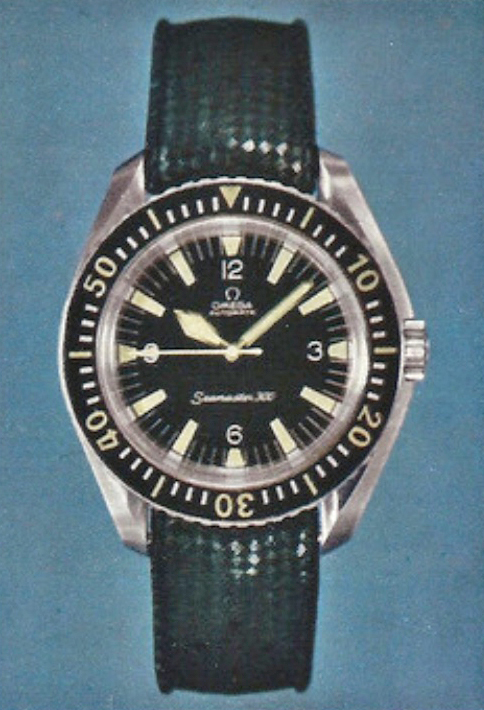 In addition to the bracelets there was available a tropic rubber strap as seen below. As well as the rubber strap Omega offered a ‘corfam’ waterproof leather version, with a stainless buckle along the style of an ISOfrane strap. 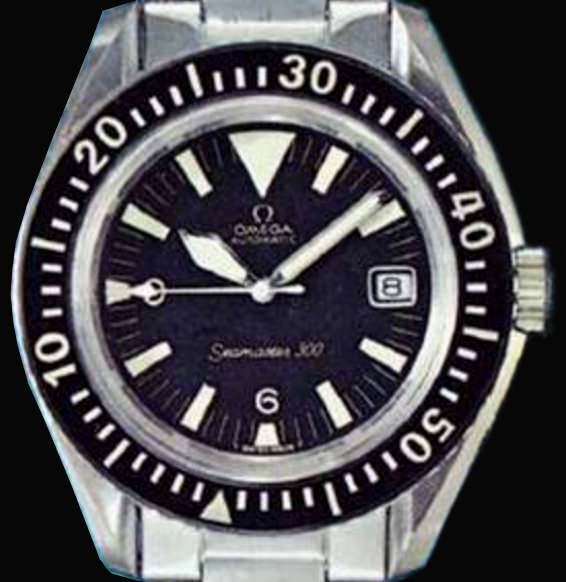 From he beginning of the watch’s production until 1968 the crown was of the naiad type with 24 teeth and 6.8mm in diameter, thereafter. 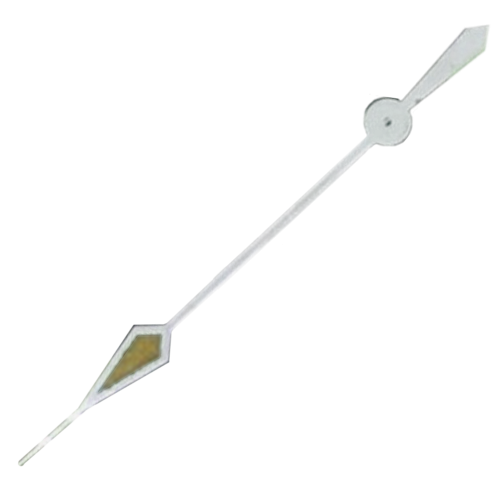 The naiad crown has in its centre a 3 pointed star, which is hypothesised as representing the 3 protections against magnetism, moisture and pressure. 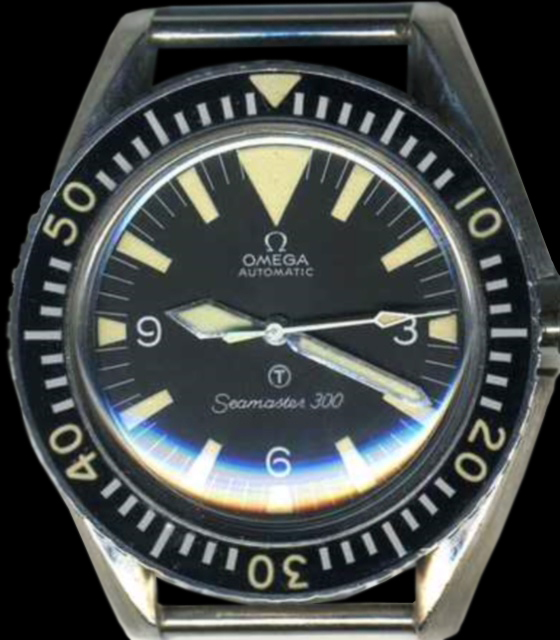 The word ‘naiad’ originate from Greek mythology; the Naiads are a type of female spirit, or nymph, presiding over fountains, wells, springs, streams, brooks and other bodies of fresh water. 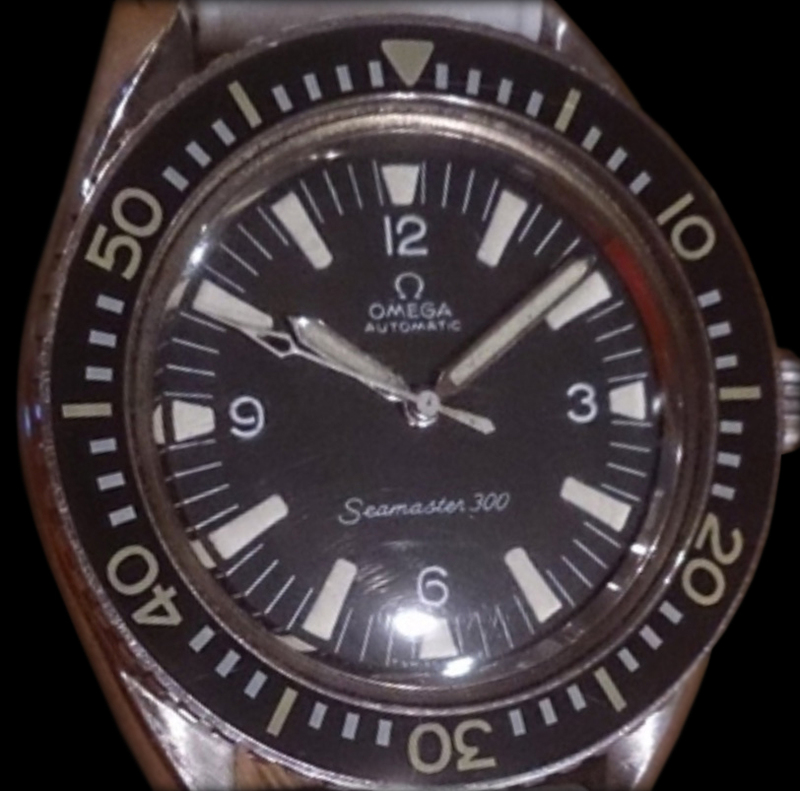 As a consequence of the work being carried in deep sea diving testing Omega introduced a screw-down crown which was 6.4mm in diameter with 22 teeth. 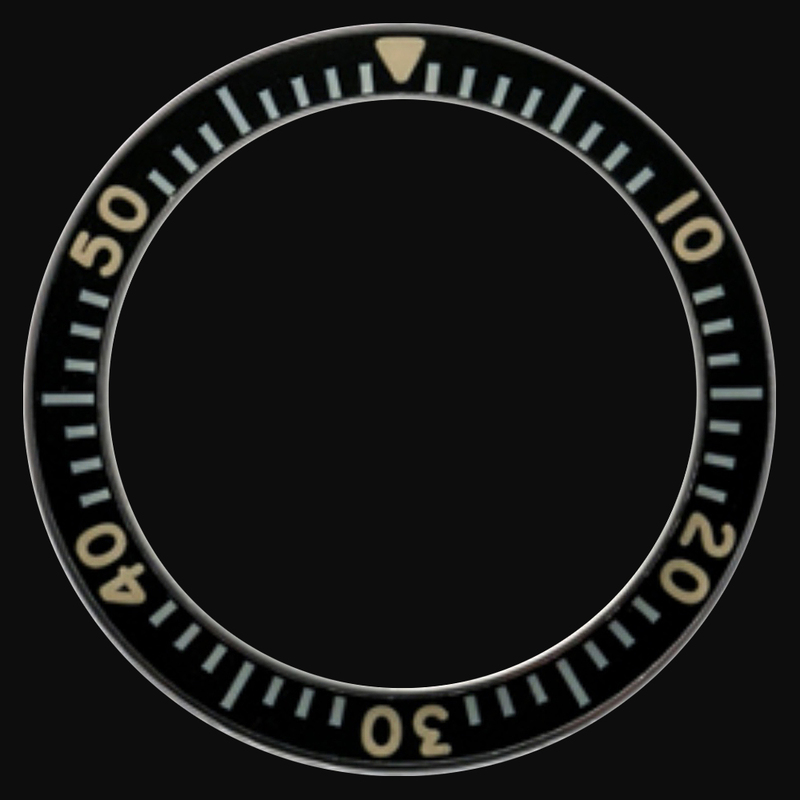 This new hermetical sealing improved the watches depth rating considerably and was ultimately the standard issue for all watches. 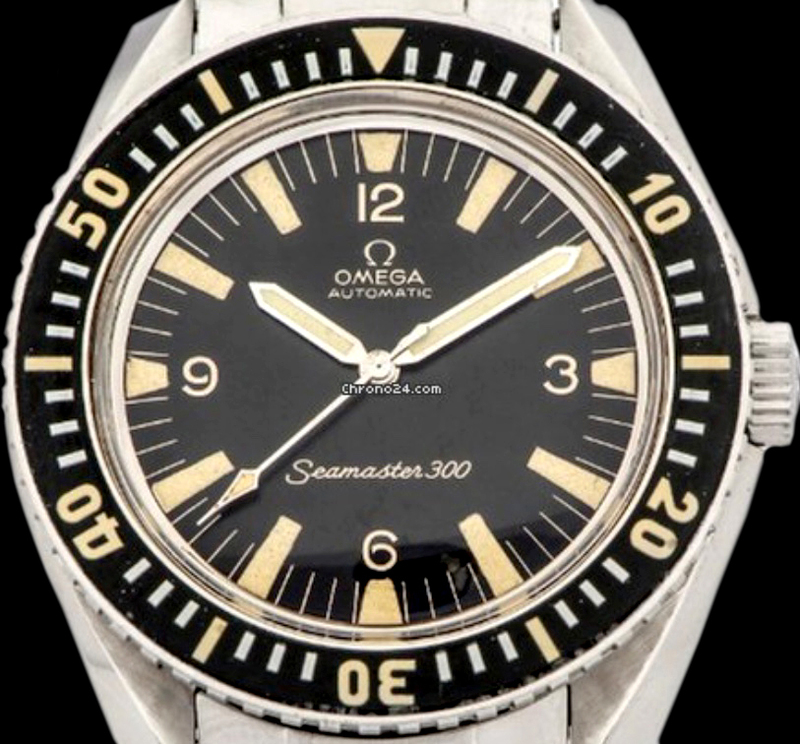 Please see below the watches work order transition between the naiad crown to a screw-down crown (1967-69). 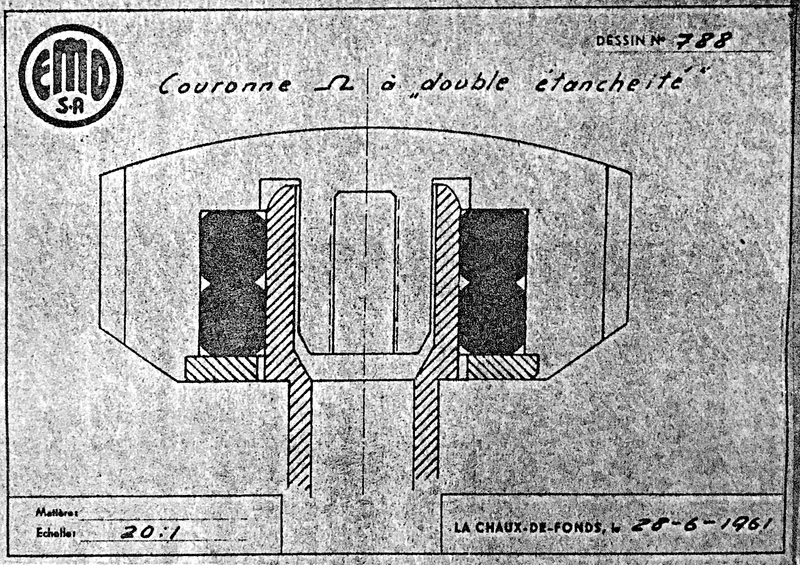 There were two main case manufacturers. 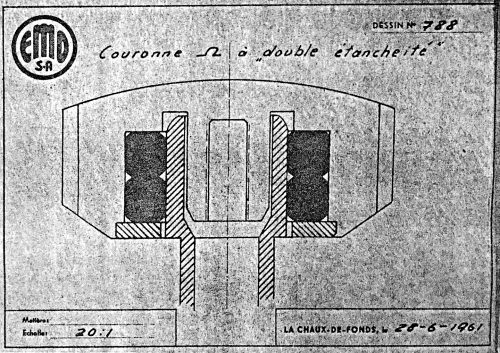 At the beginning, Huguenin S.A. 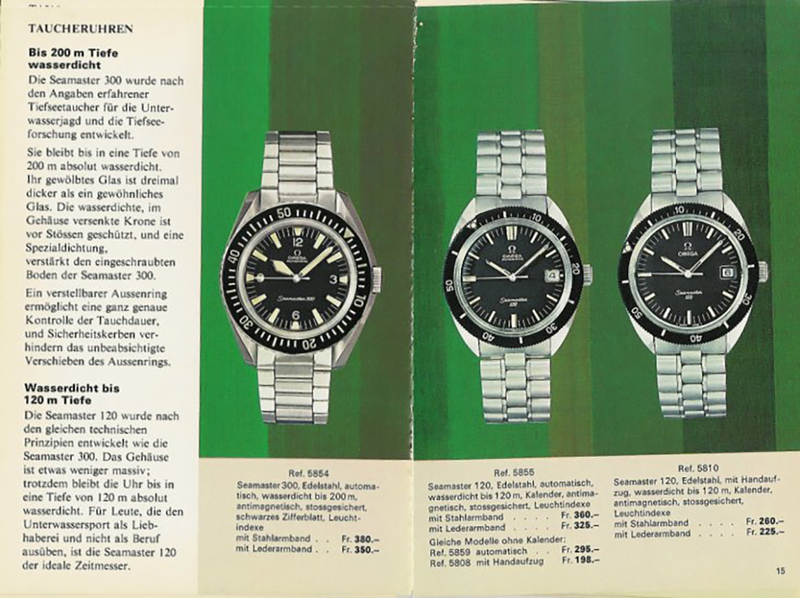 Le Locle-Suisse were the main suppliers. 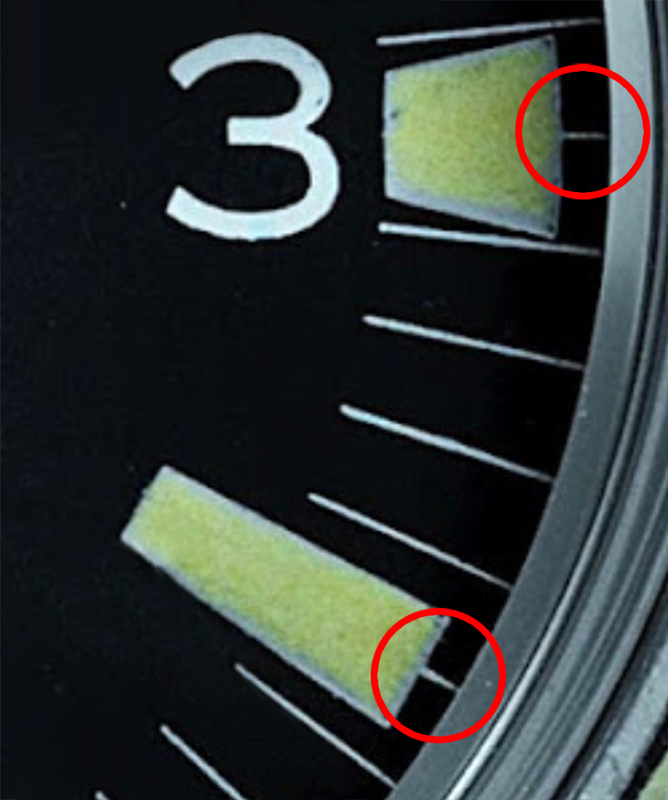 When the cases were produced they did not always introduce a dot between the 165 and the 024. 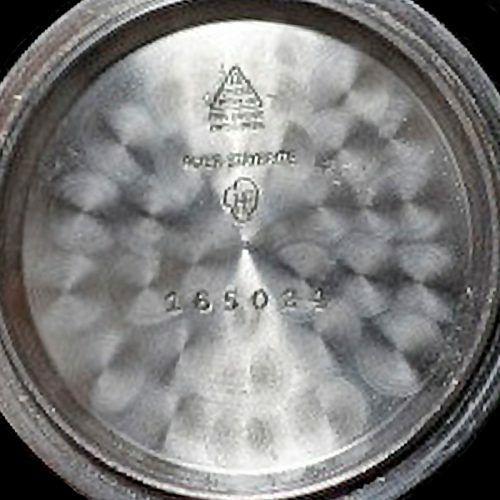 They were the main supplier from 1963 – 1966/67. 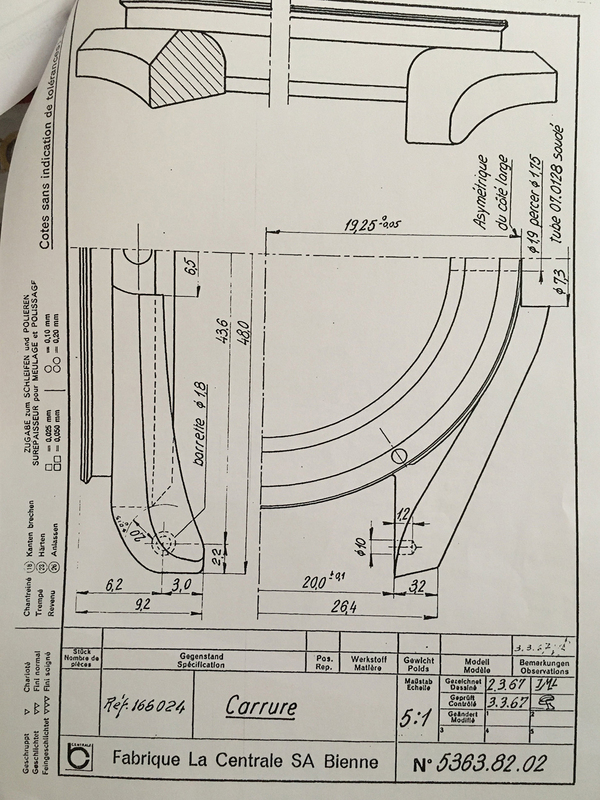 See below the engineering drawings of the case’s transition from the CK14755 with the narrow concave bezel, through to the redesigned asymmetric case and the flat luminous large font bezel of the 165.024. 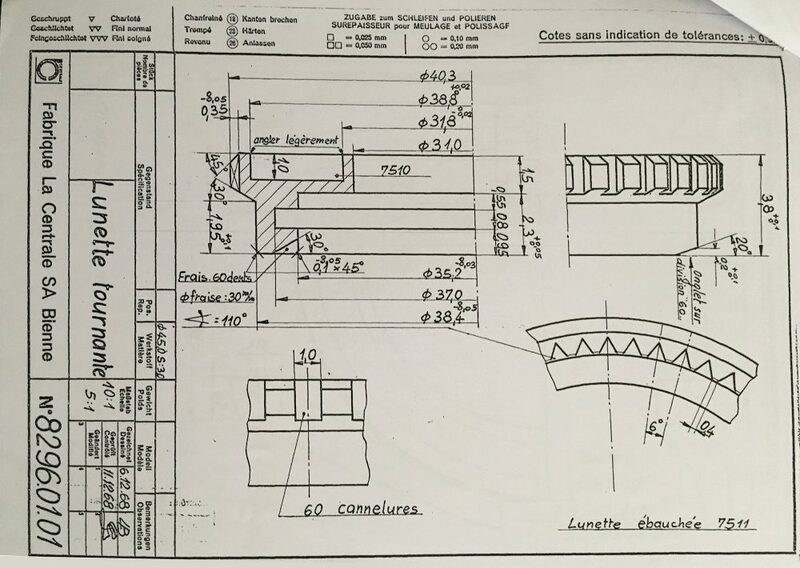 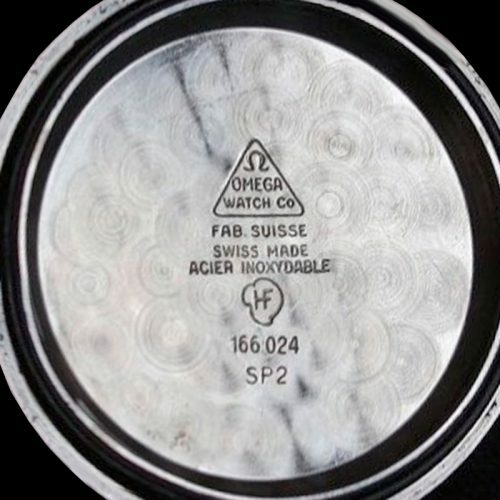 Partway through the production of the watch Omega diverted the case manufacturing to Fabrique la Centrale SA Bienne and there was also a steel supplier changeover from Acier Staybrite to Acier Inoxydable, probably for cost reasons. 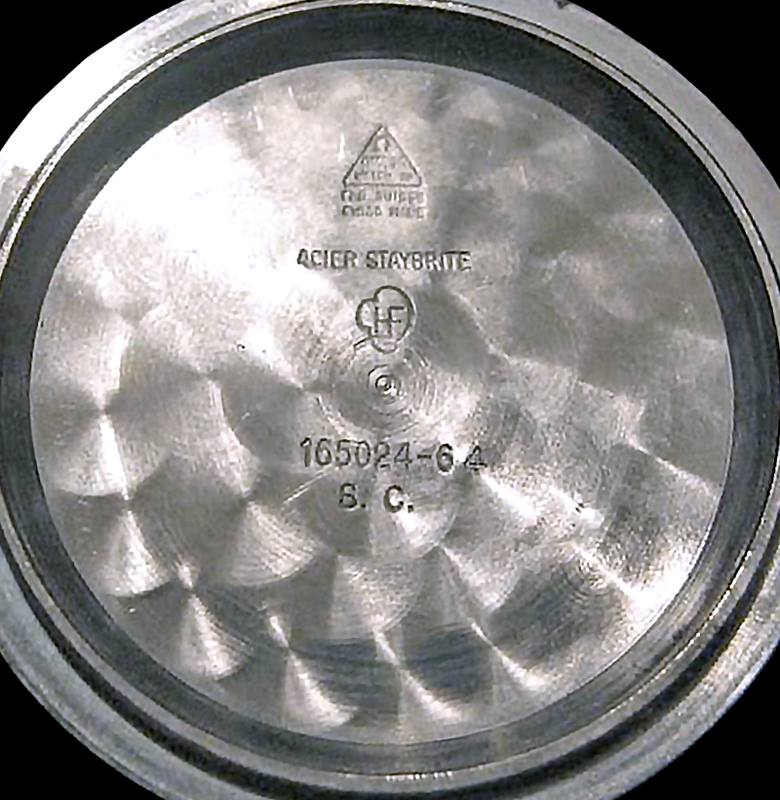 Staybrite is a chromium-nickel steel and its a trademark that has been around since the beginning of corrosion resistant stainless steel. 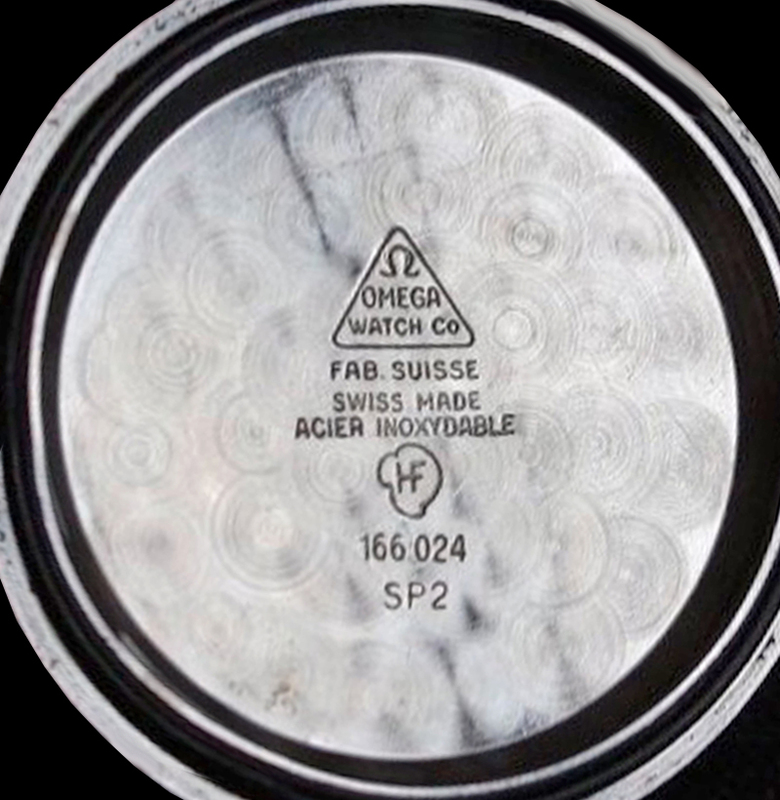 It was developed extensively in the 1960s and is the only patented Swiss stainless steel to be used in the watch industry because of its excellent polishing properties and its high corrosion resistance. 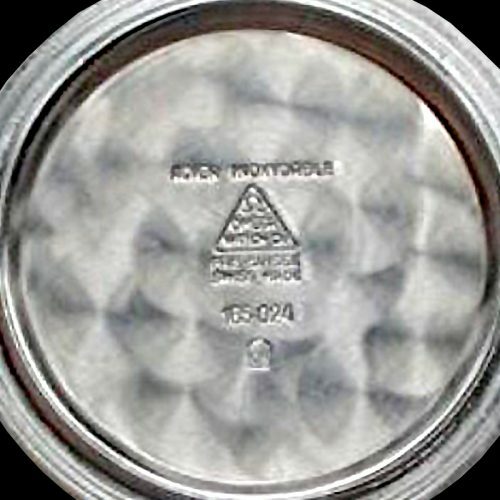 The brand name has belonged to Firth AG since 1954. 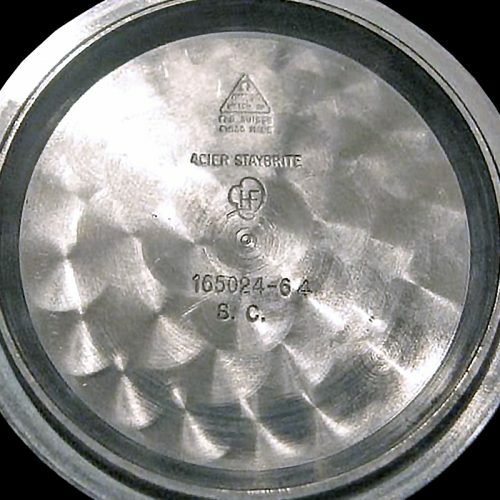 Read more about ‘The Metallurgical Evolution of Staybrite Alloys for Watch Case Applications‘ (PDF). 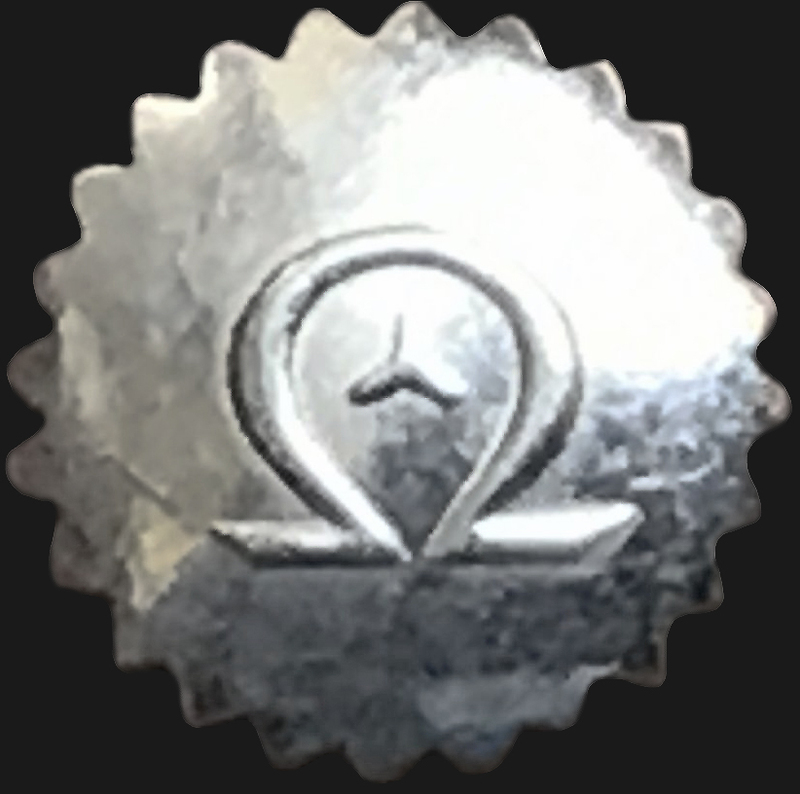 The ‘Omega Watch Co’ symbol with ‘Fabrication Suisse’ and ‘Swiss Made’ is a constant, however the steel is either described as ‘Acier Inoxydable’ or ‘Acier Staybrite’. 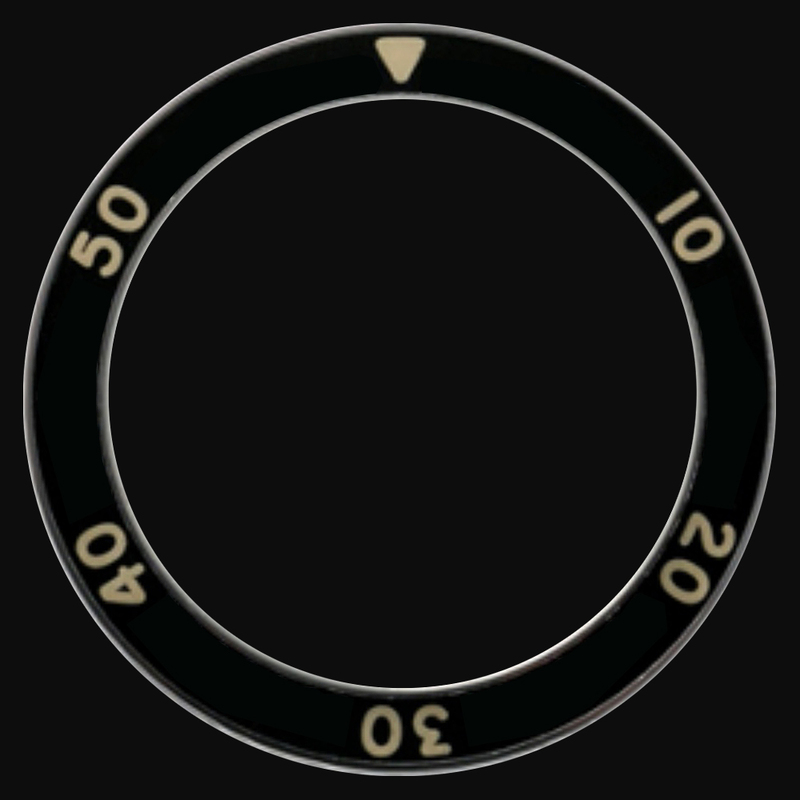 The crystal is a triple layer hesalite with the Omega logo in it’s centre and pressurised onto a black or polished rehaut ring. 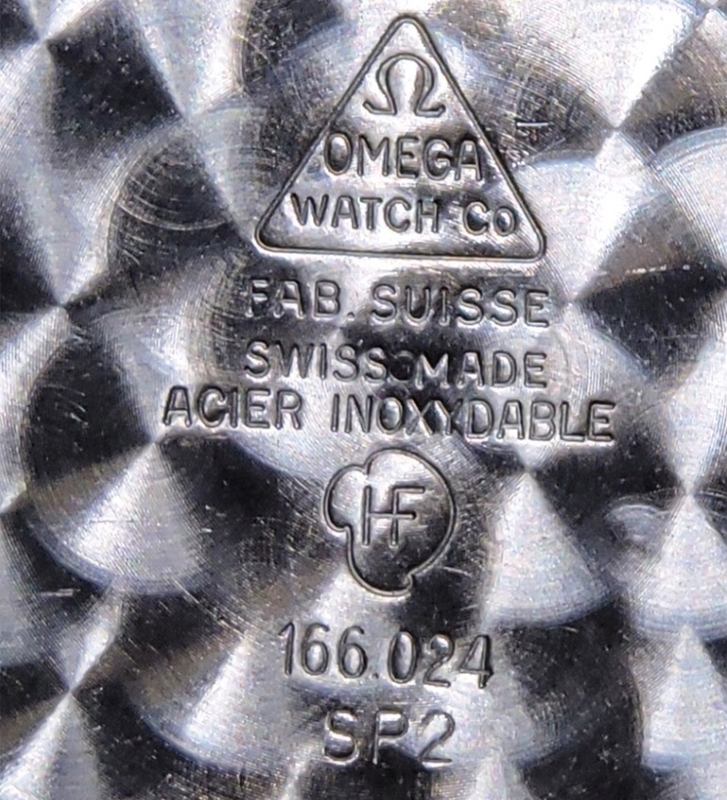 The strength of these crystals and the fact they didn’t shatter into shards was one of the reasons why the Speedmaster with a similar hesalite crystal was chosen for space exploration. 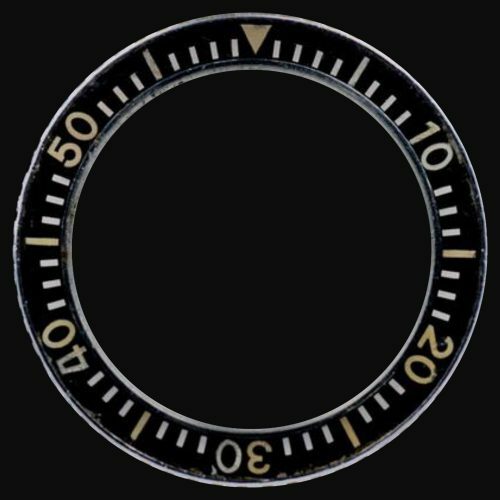 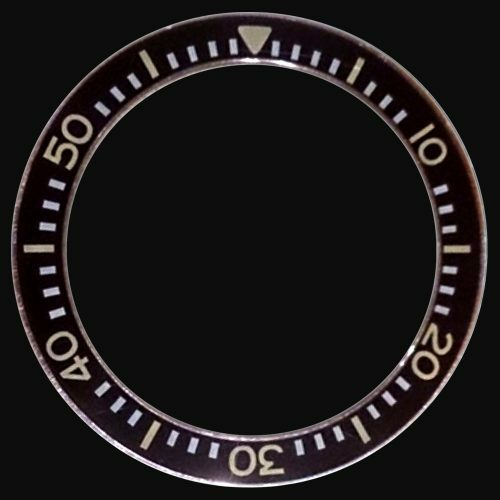 1966-67 a dial design change took place and the large triangle was introduced along with the sword hands. 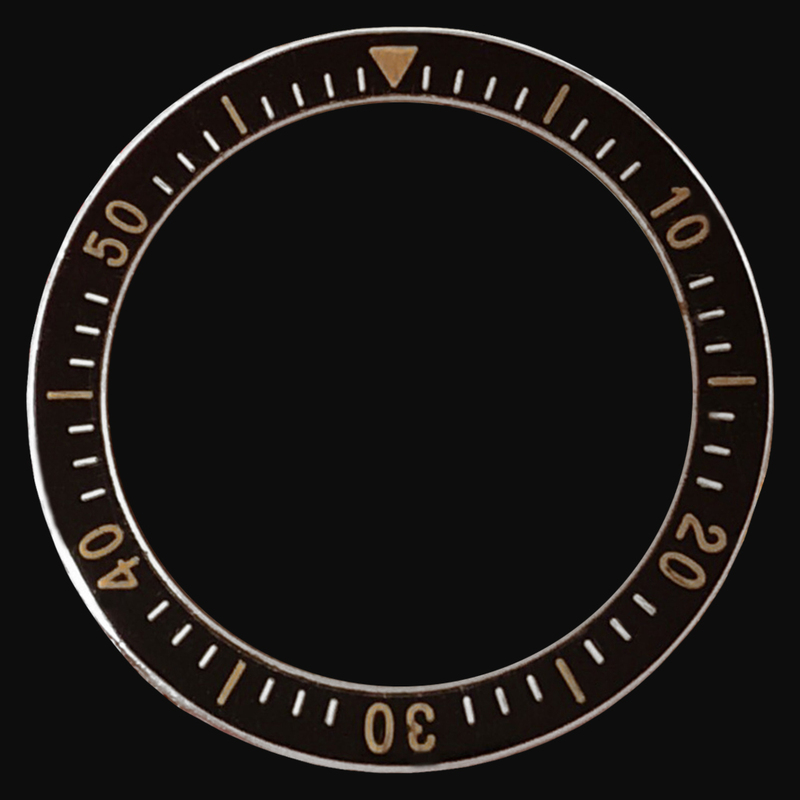 Pinholes in the triangle and at the 6 o’clock position appear to be present in many dials as this was the place where the dials were held during the process of the application of lume. 4 types: big triangle, small triangle, white writing, gold writing, with date, without date. 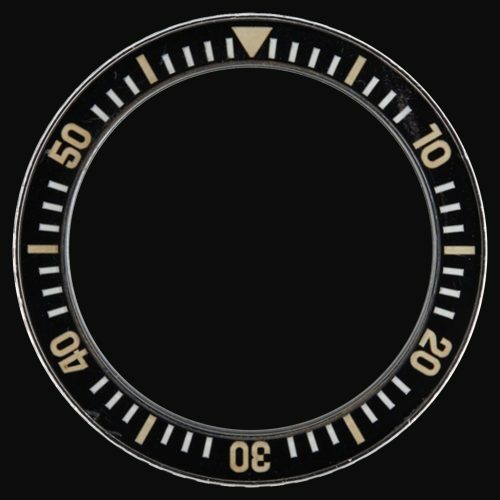 Please note the author has observed date wheel variations with black text on a white background and white text on a black background. 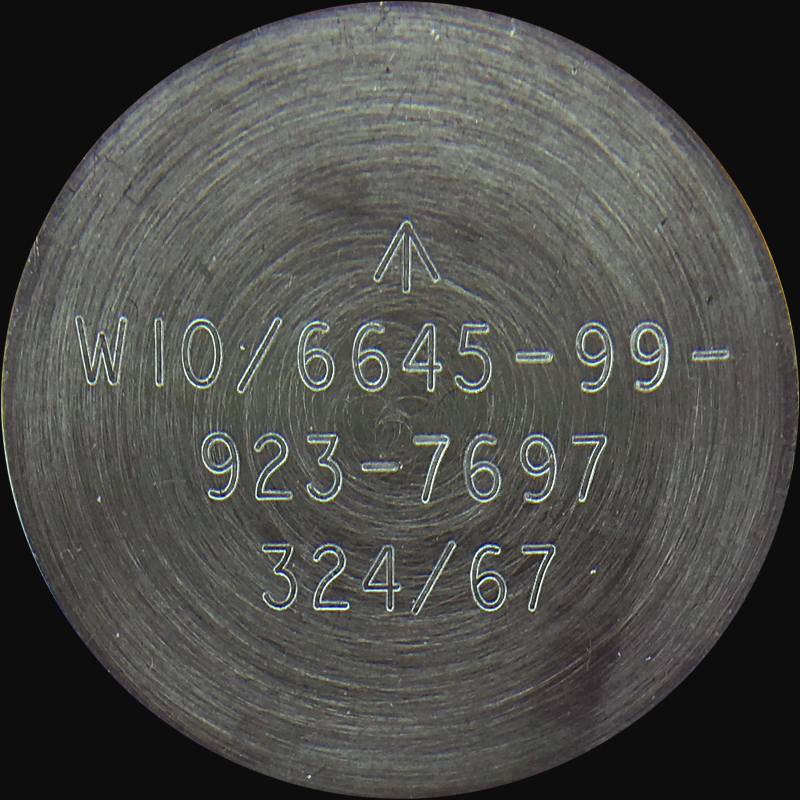 “stubbies” visible at the edge of the hour markers. 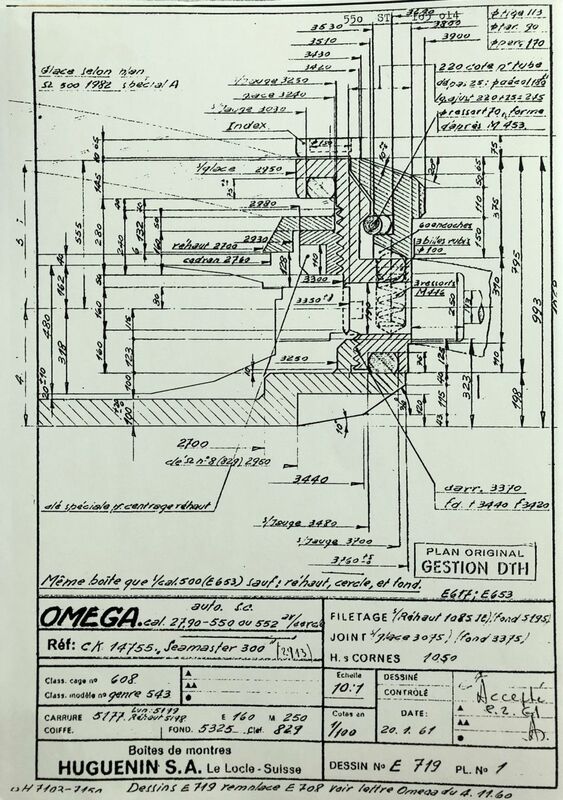 As outlined below. 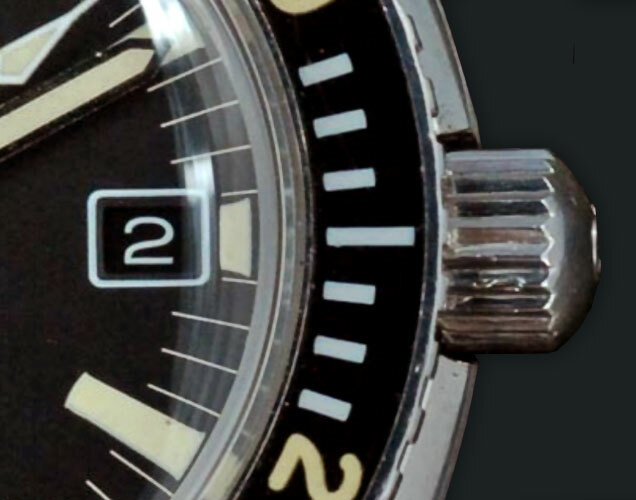 Click on the images below to see an enlarged detailed view. 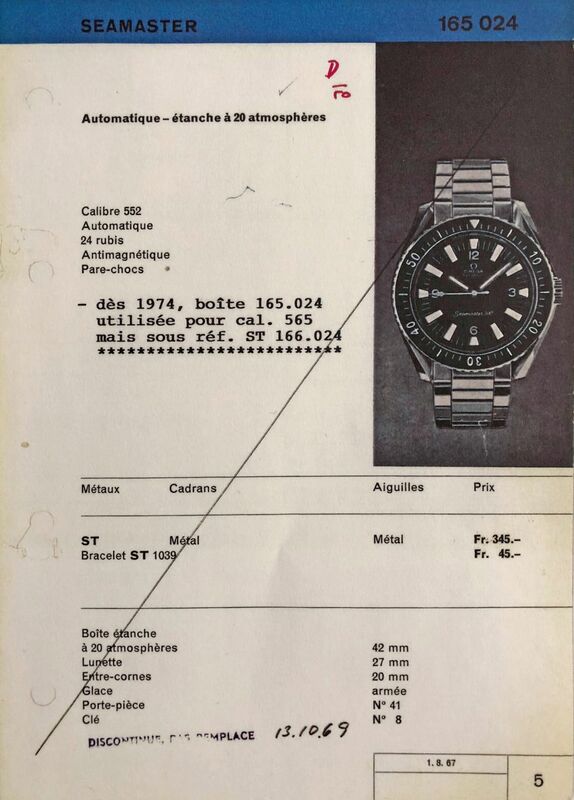 Please find below the actual registered designs of the watches held on microfiche in addition to internal Omega production documents identifying the watches specification and configuration prior to retail sale. 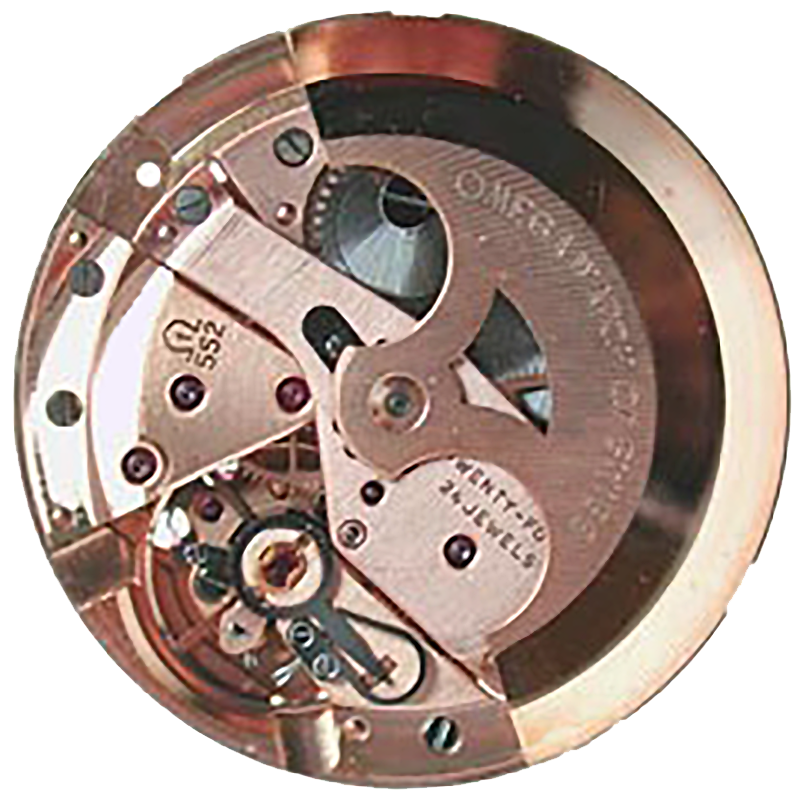 This used the 552 calibre movement. 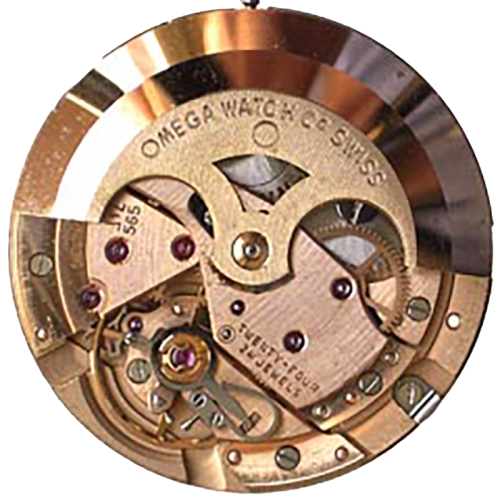 This used the 565 calibre movement. 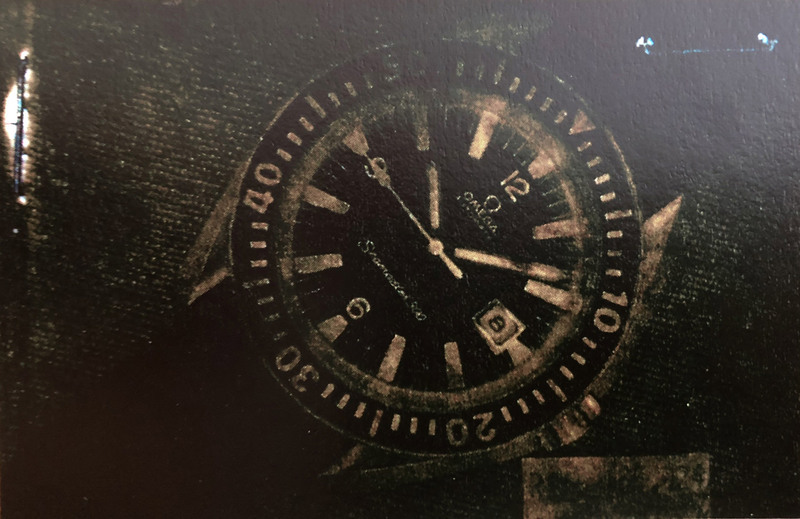 This is very rare photograph of a potential prototype with both day and date. 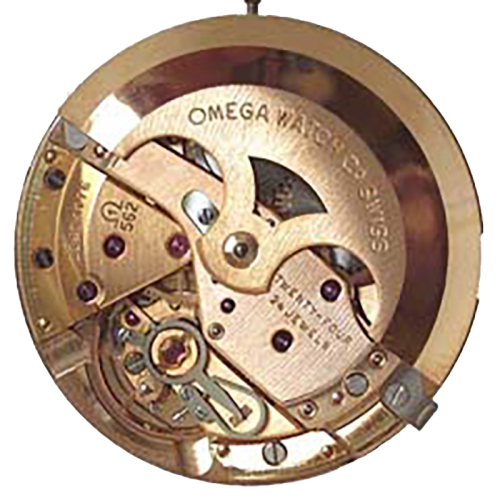 In 1955 Omega bought a small watch factory owned by and called Marc Favre, who had created an automatic calibre using a full rotor. 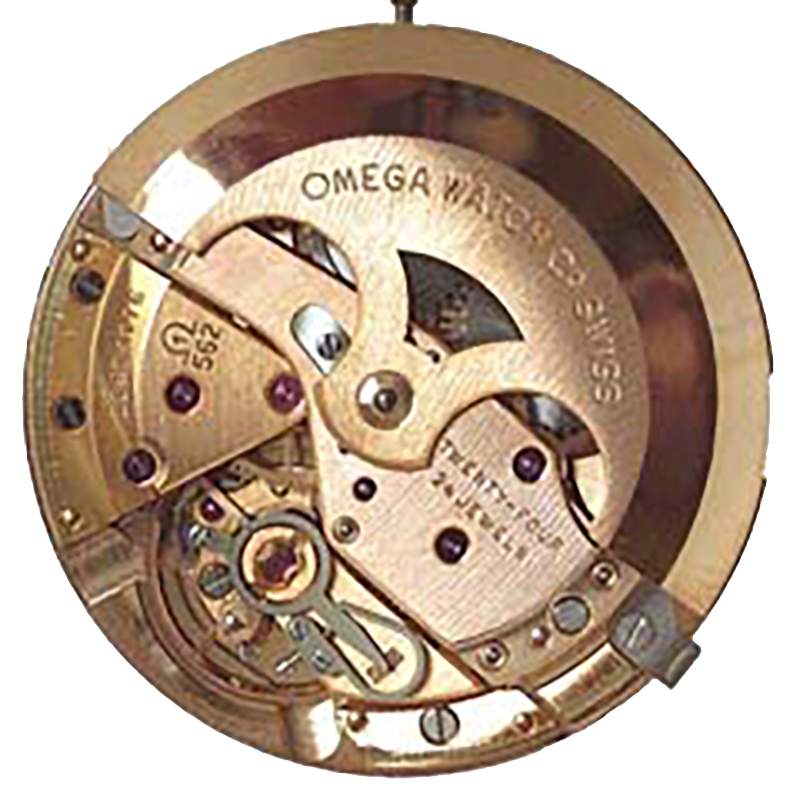 In 1958 they produced the 552 calibre movement which was both shock absorbing and anti-magnetic with 24 jewels. 562 was the same watch but with a calendar function. 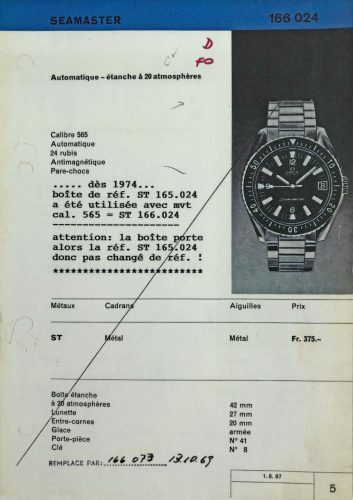 The 565 (1965) came with a calendar function but also with rapid date corrector. The calibre 563 (1965) was produced for the American market and featured a calendar function but reduced to 17 jewels. 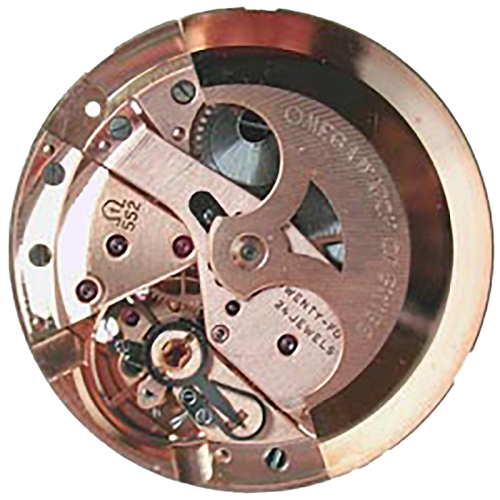 The Calibre 560 was also for the American market; this was a 552 calibre reduced to 17 jewels (see below). The United States in 1922 decided to introduce the Fordney-McCumber Tariff act requiring watches from Switzerland to be subjected to higher levels of import tax. 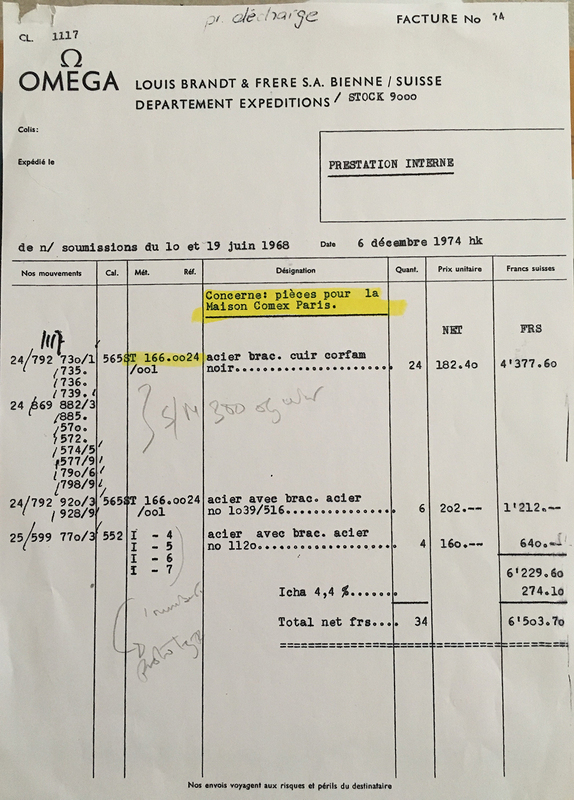 Thus an unadjusted movement was taxed at $2.75 and an adjusted movement to 5 positions taxed at $6.50. In addition the tariff for ruby-bearing watches was $1.25 for 17 jewels thereafter $3 for 24 jewels. 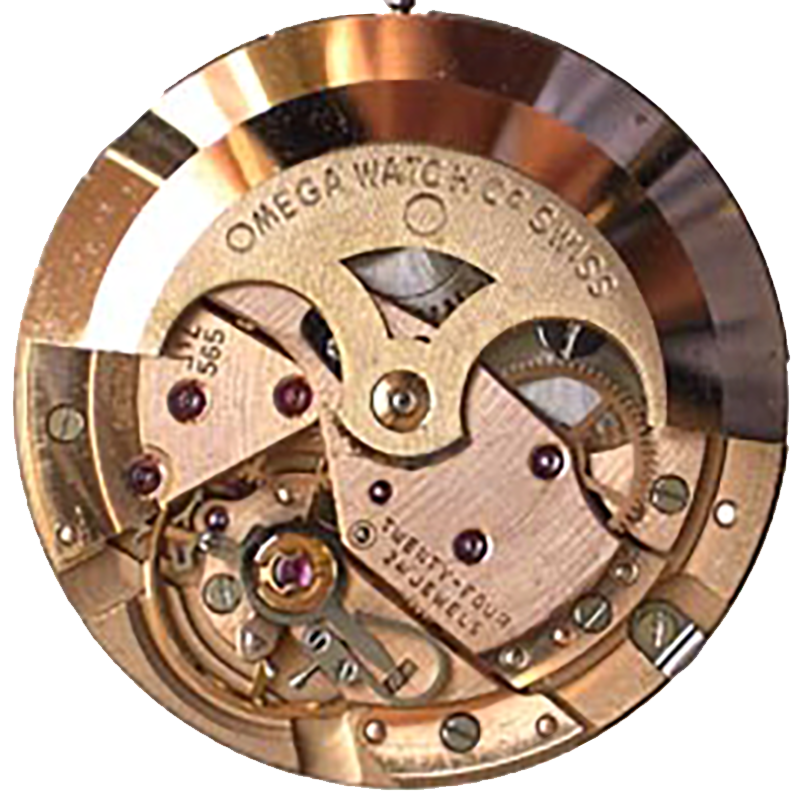 Omega responded to this impost by degrading the movement by replacing 7 jewels with metal bearings and coming in under the fiscal barrier. 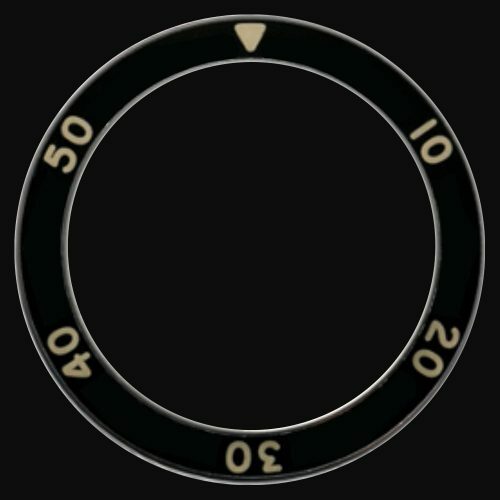 This is by no means comprehensive however this may be used as a guideline. It is quite common in the Seamaster 300 range for entire movements to be swapped out at service rather than do a parts replacement. So the movement number does not always align with the date of manufacture of the watch. 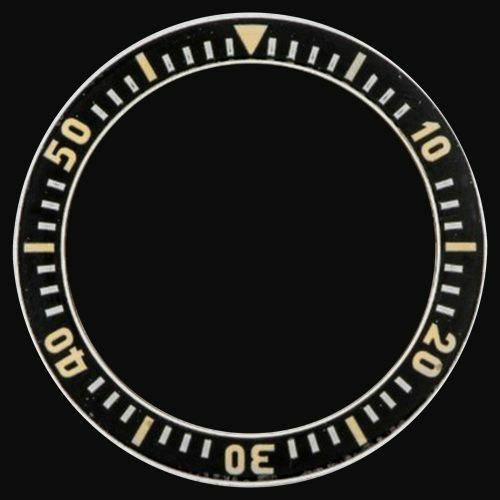 As you can see from the above it’s very often the case that during service or parts replacement the wrong bezel ended up on the wrong watch. 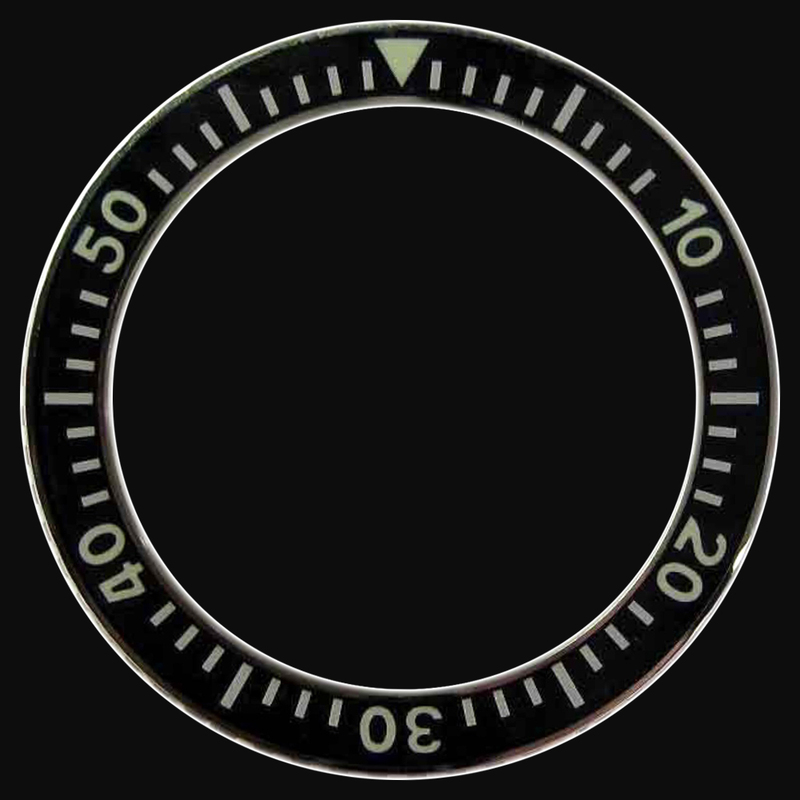 Blue variation – although this has been observed it is not proven to be original. 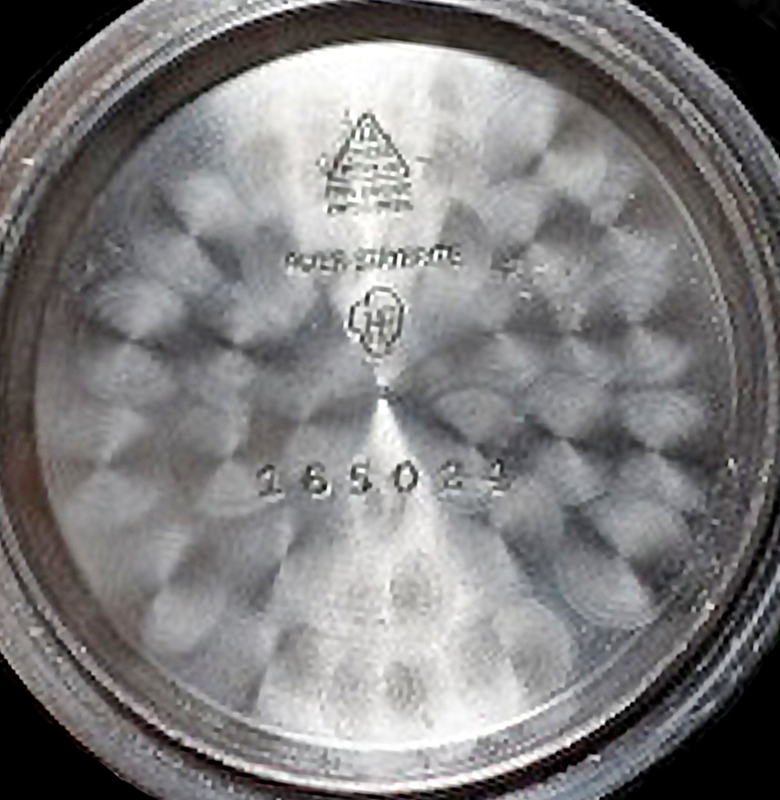 This shows the transition from the symmetrical case 165.014 to the asymmetrical case 165-024. 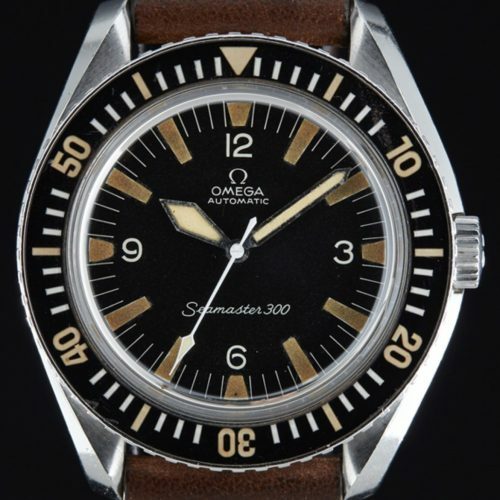 Note: I have not quoted for the rare 1501-1035 as too few sell to provide a reliable price. 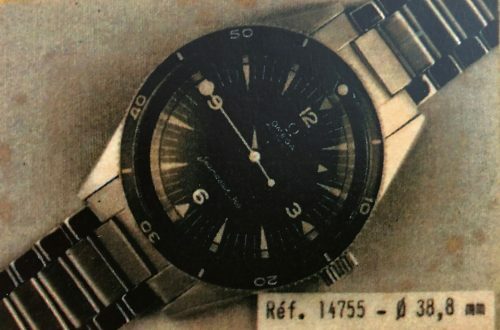 This site will be for genuine collectors only without open access due to the value of the watch it is considered prudent to exclude persons who may use some of the confidential discoveries to the disadvantage of collectors. Please contact the author for access in due course. 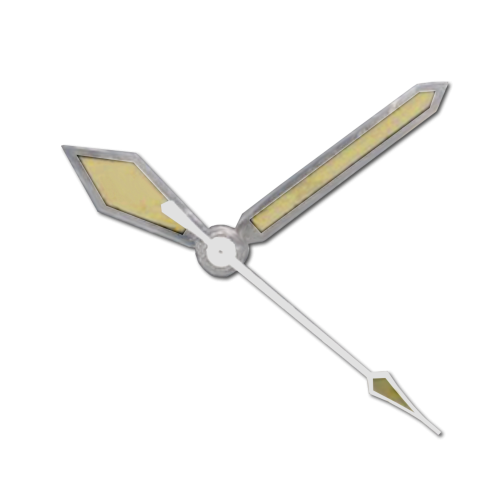 As always Petros and Mr Zilla. 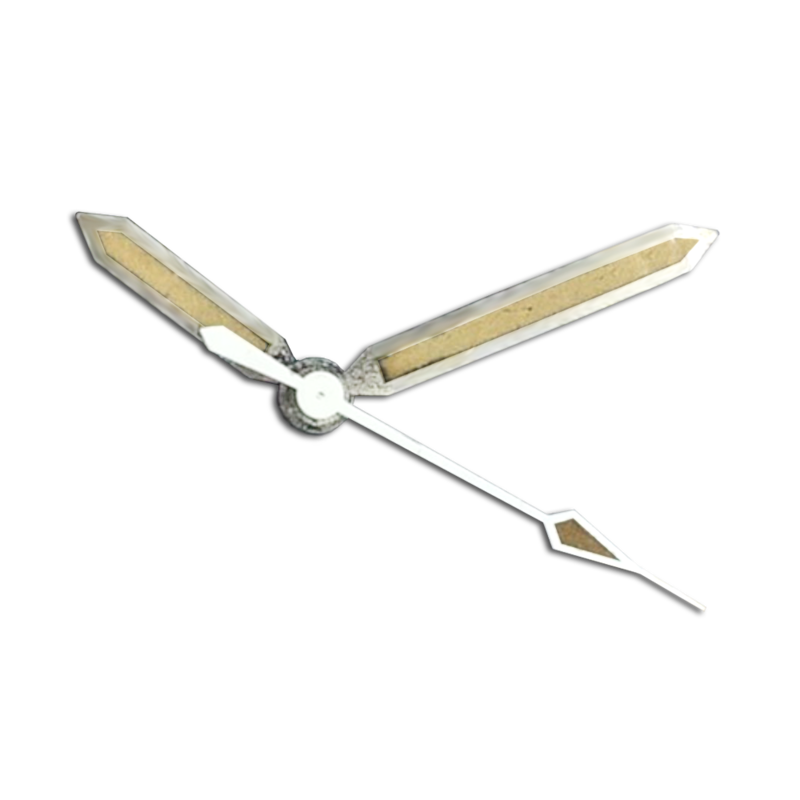 To Adrienne, an incomparable horologist. 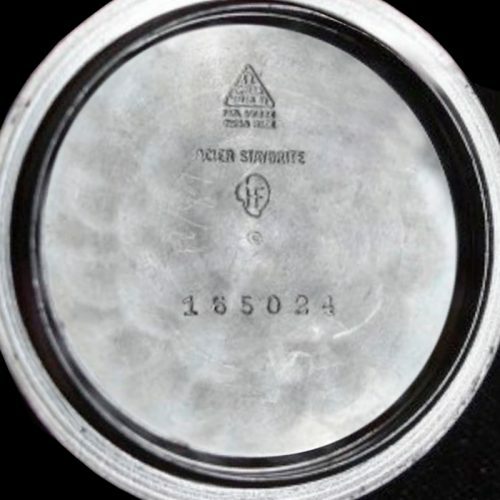 The site is dedicated to Rosie and Jake.